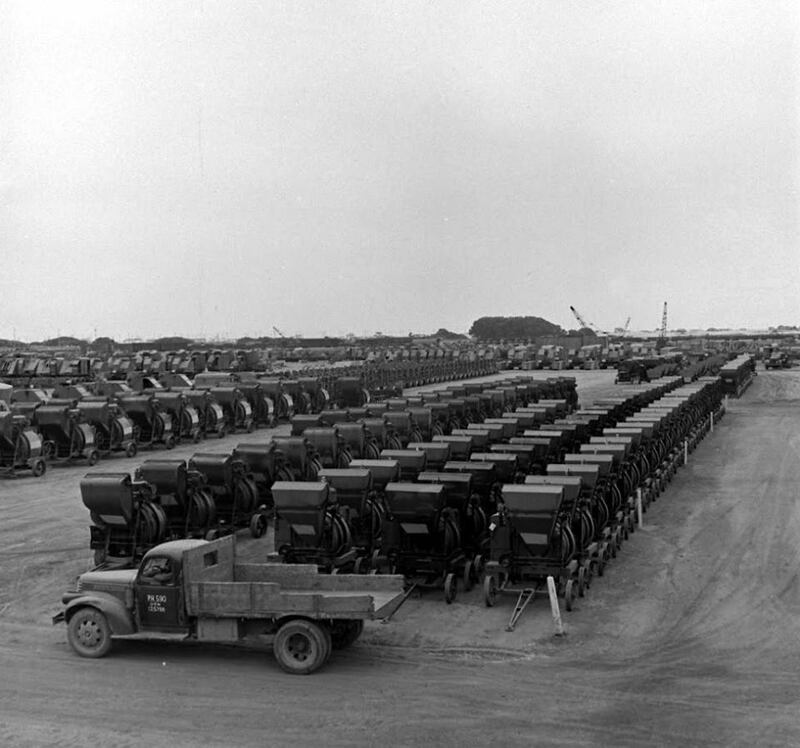 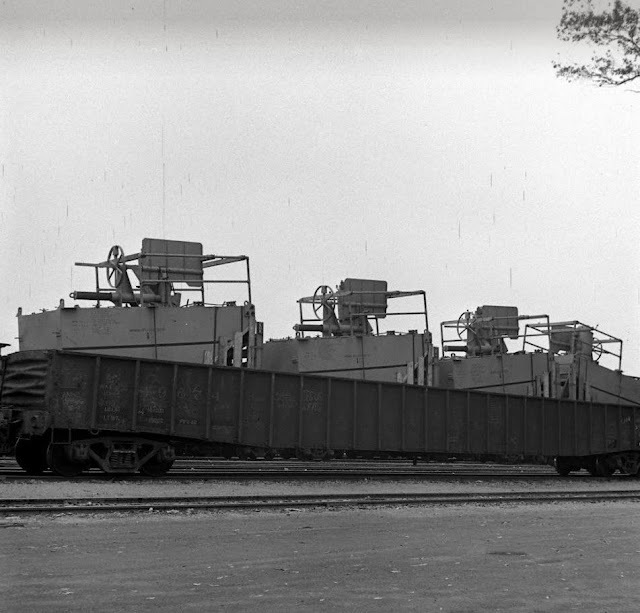 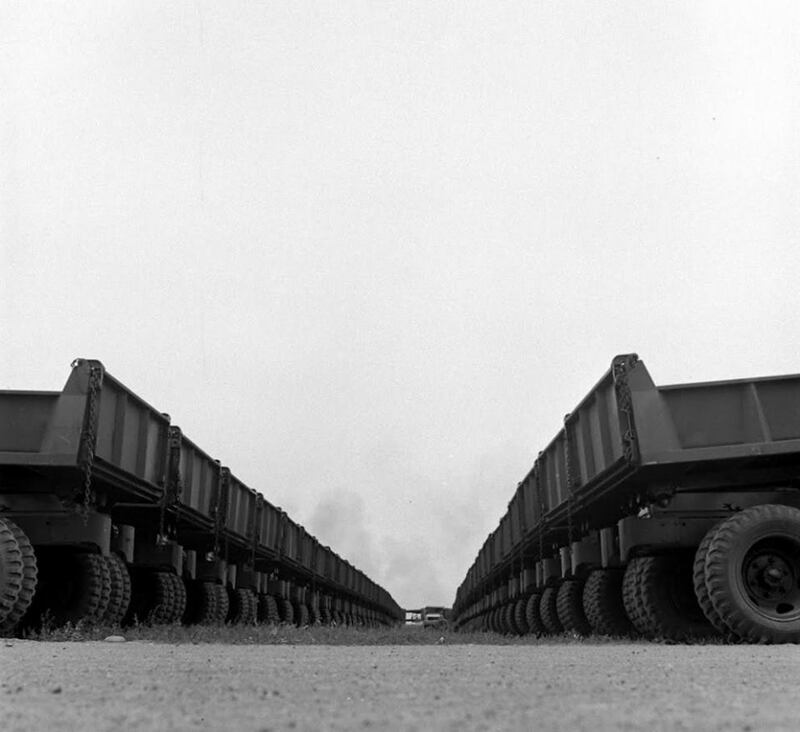 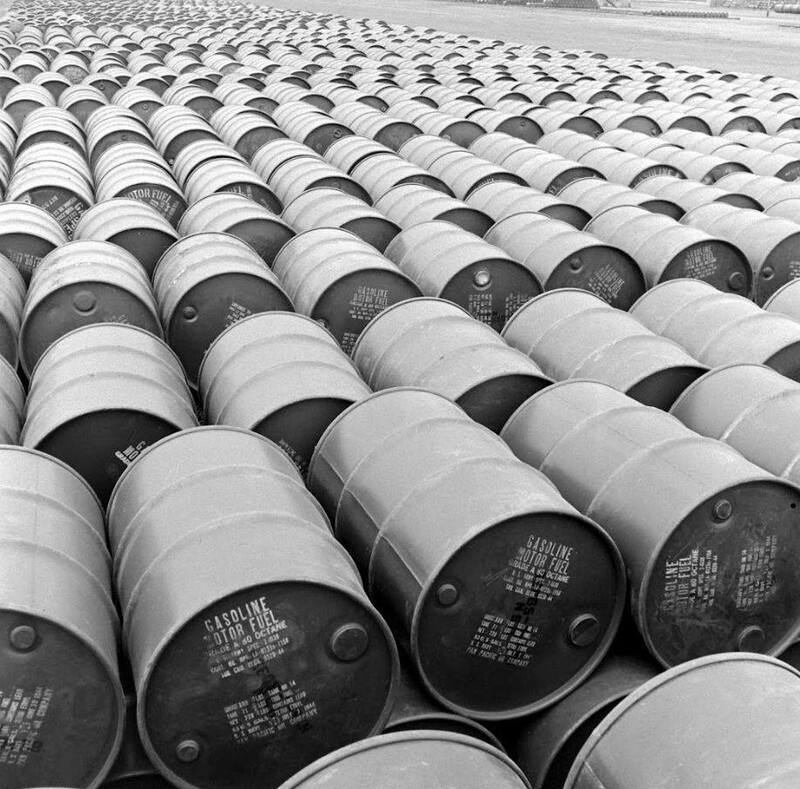 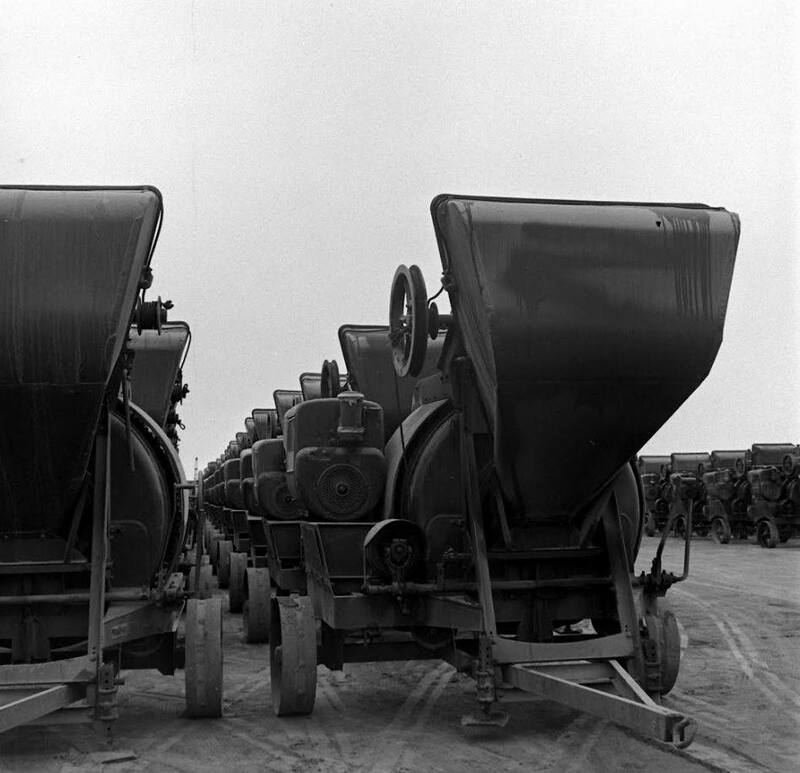 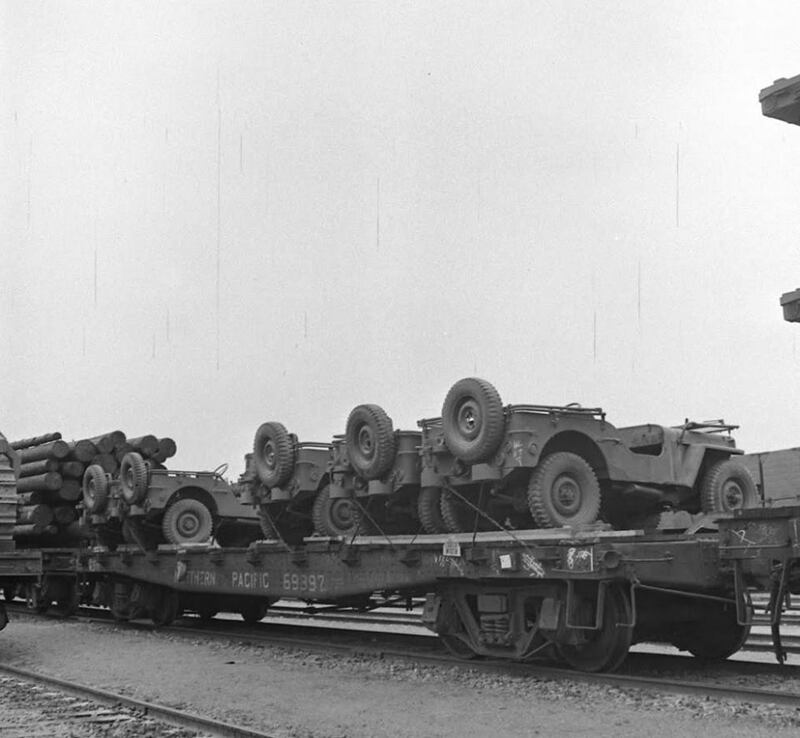 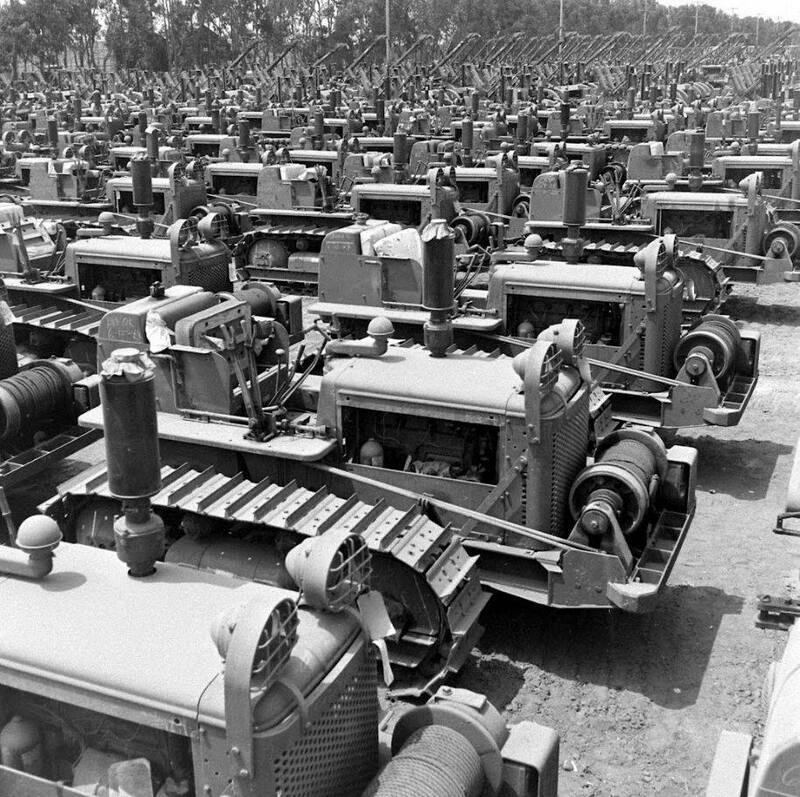 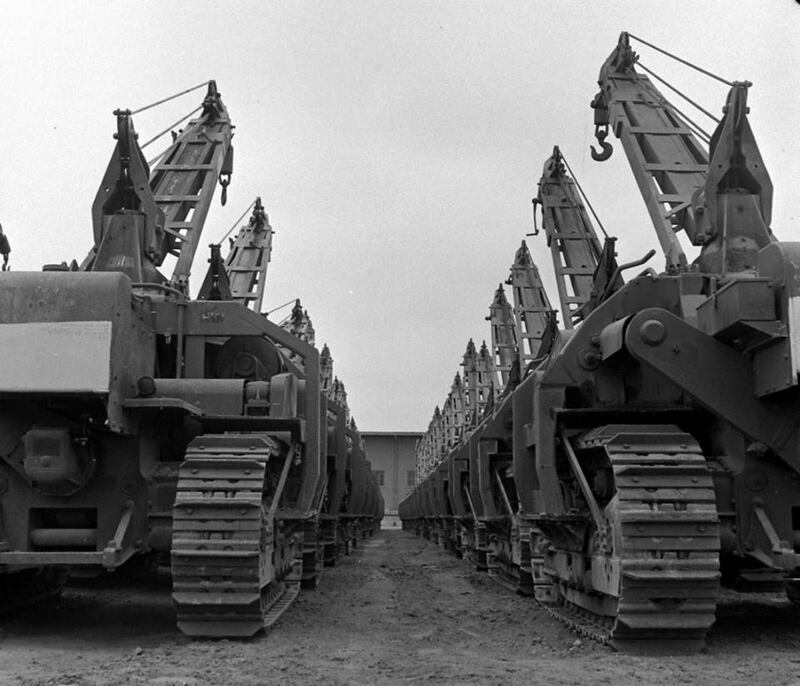 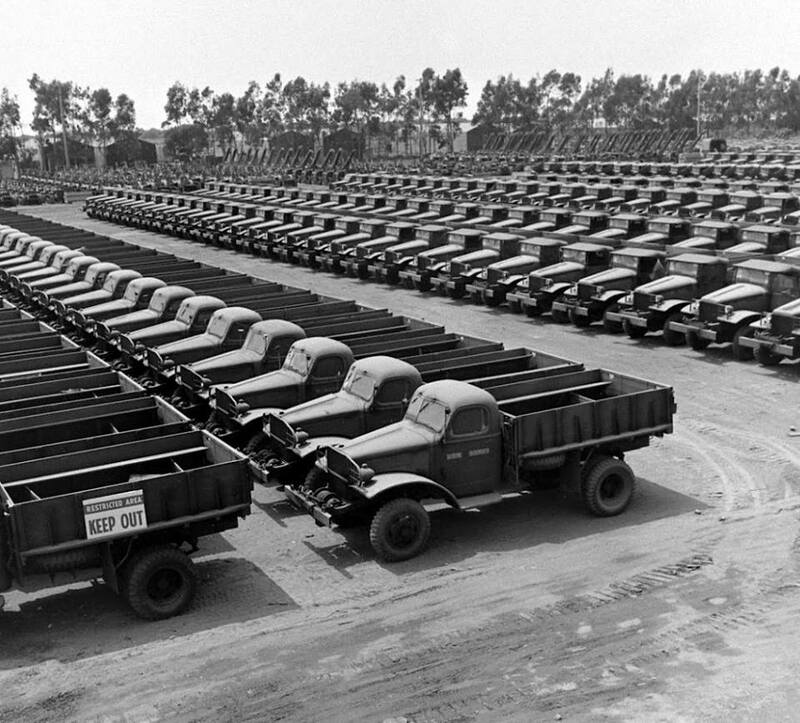 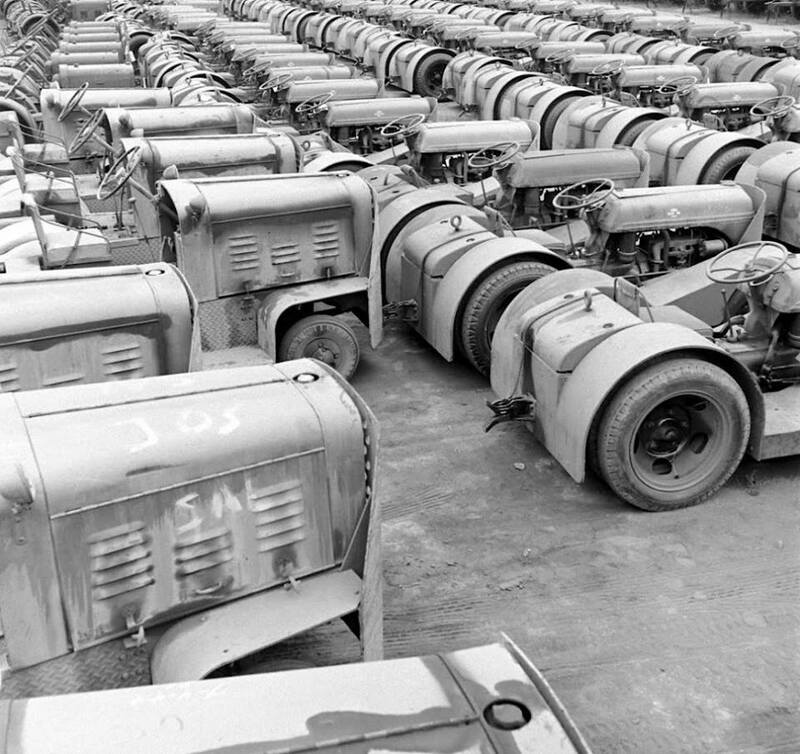 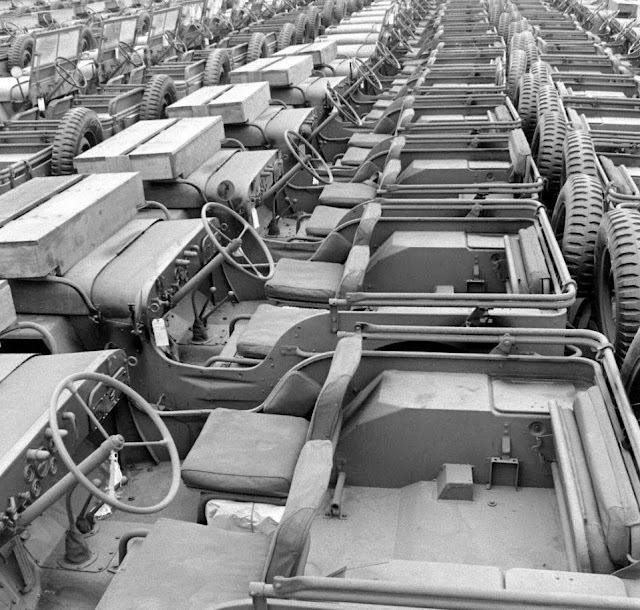 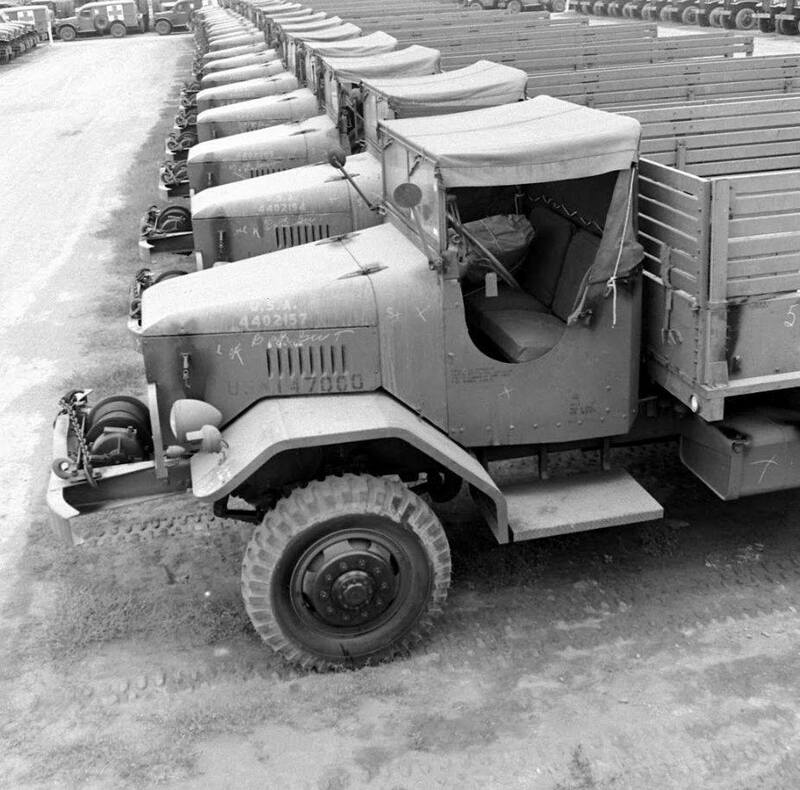 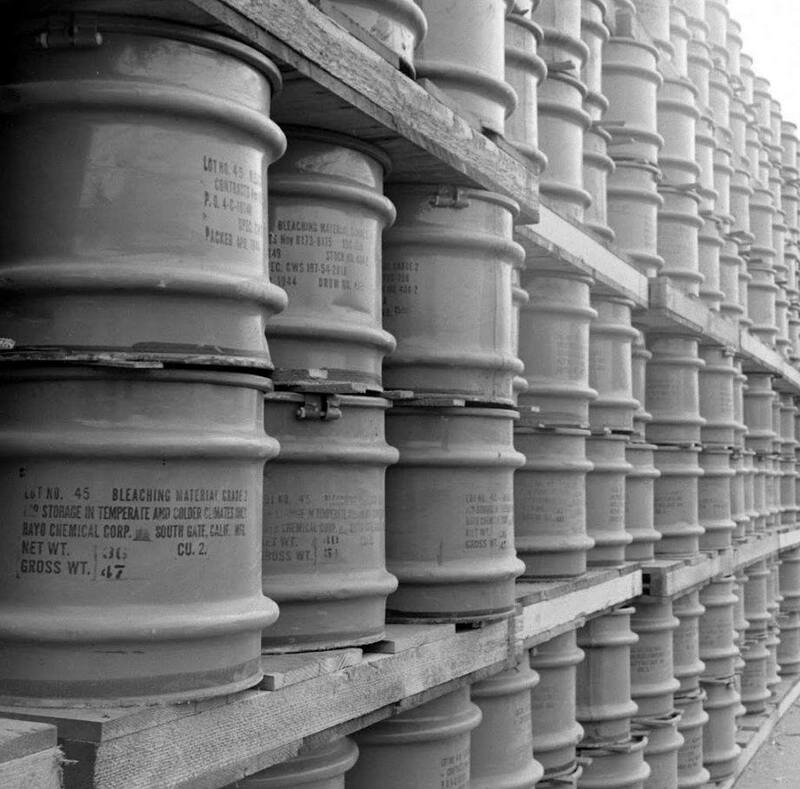 As the title of this article states ‘simply staggering’ – the scale of US output during WWII. 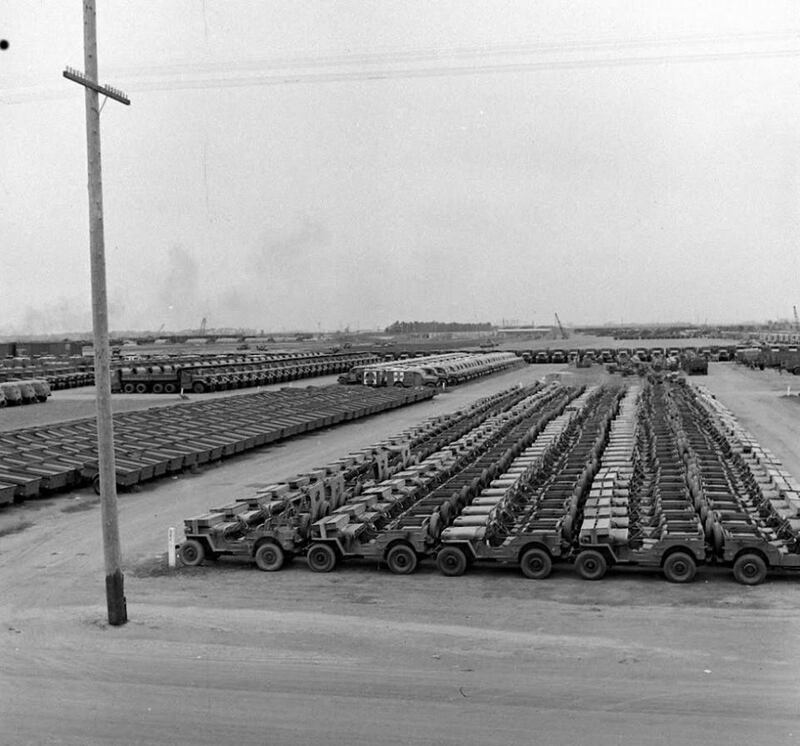 The images below, give us,just a little glimpse into the amount of equipment the USA made and supplied during the war. 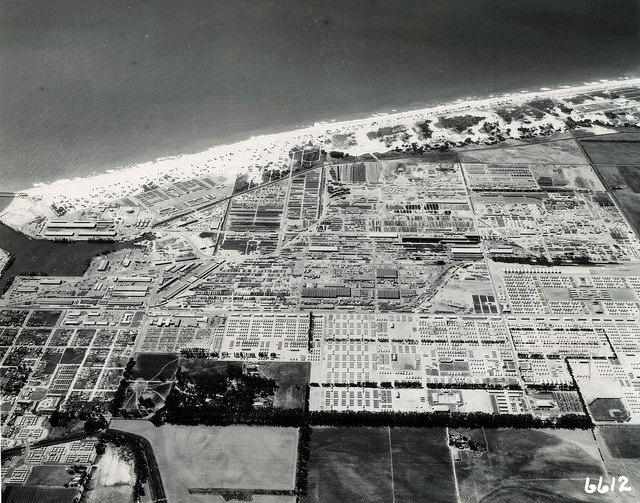 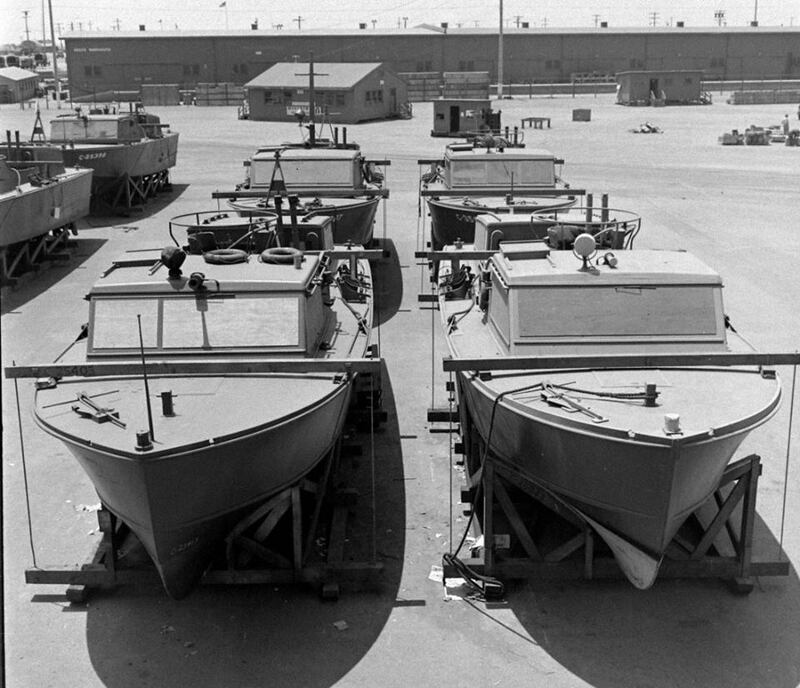 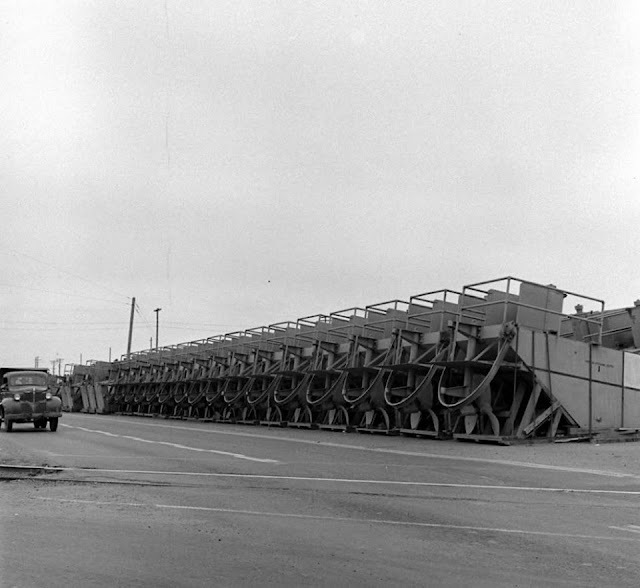 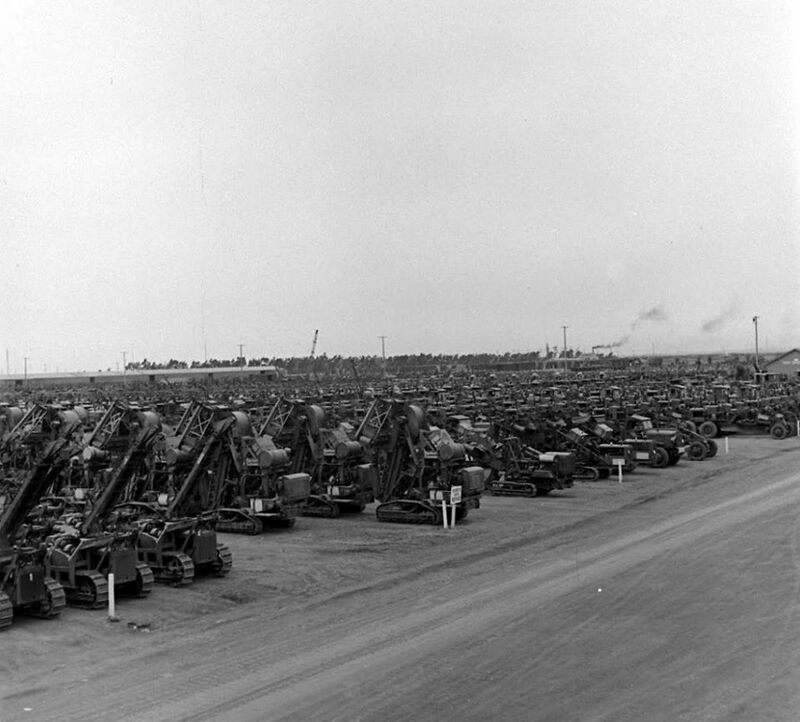 Port Hueneme began to grow in the 1940s during World War II when it became the home of the US Naval Construction Battalion (Seabee) Center for Pacific Operations. 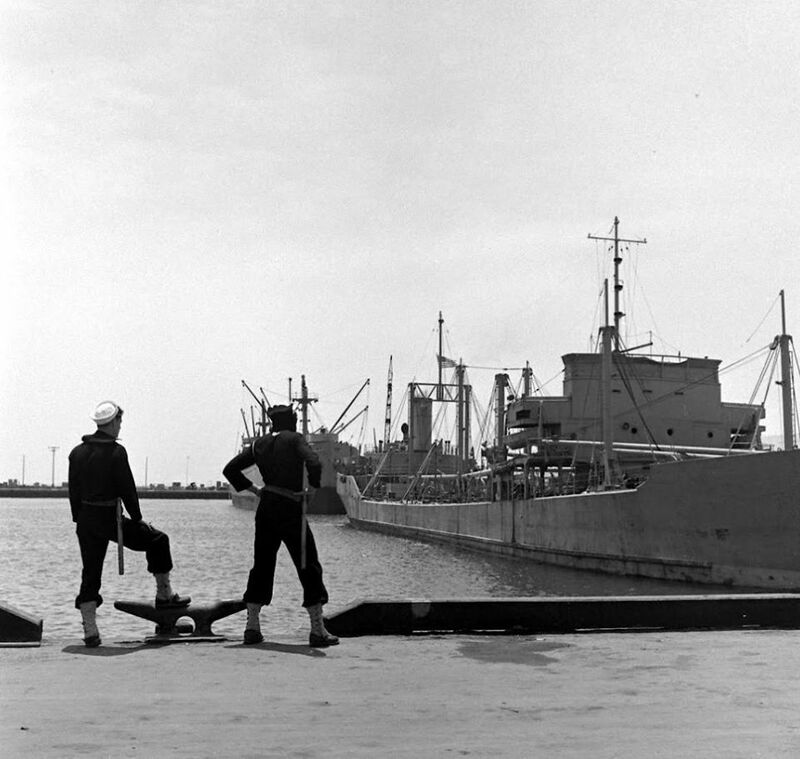 In 1942, the Federal government confiscated the port to make it a naval base, constructing six docks that could service nine ships, over 1500 meters of wharf, 111 thousand square meters of buildings, and almost 58 kilometers of railroad. 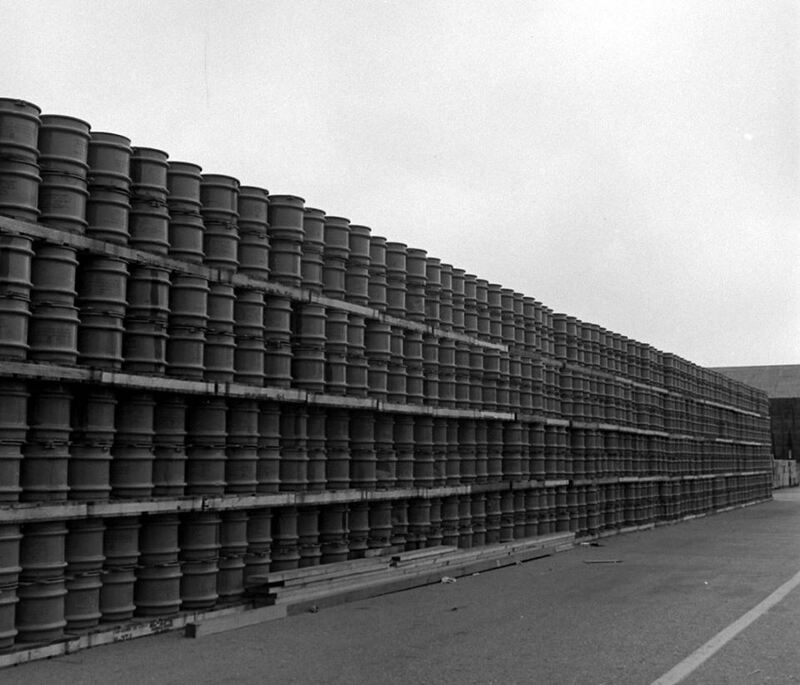 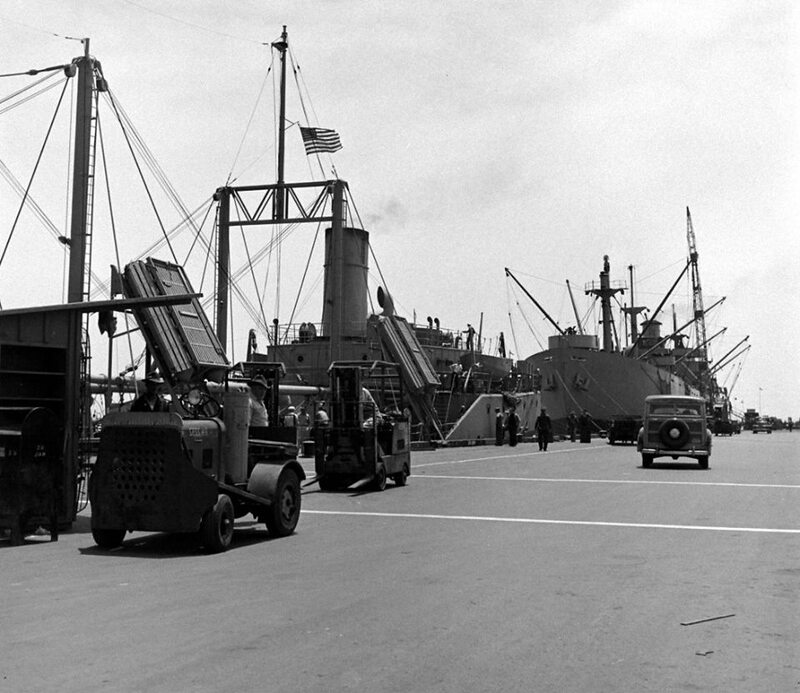 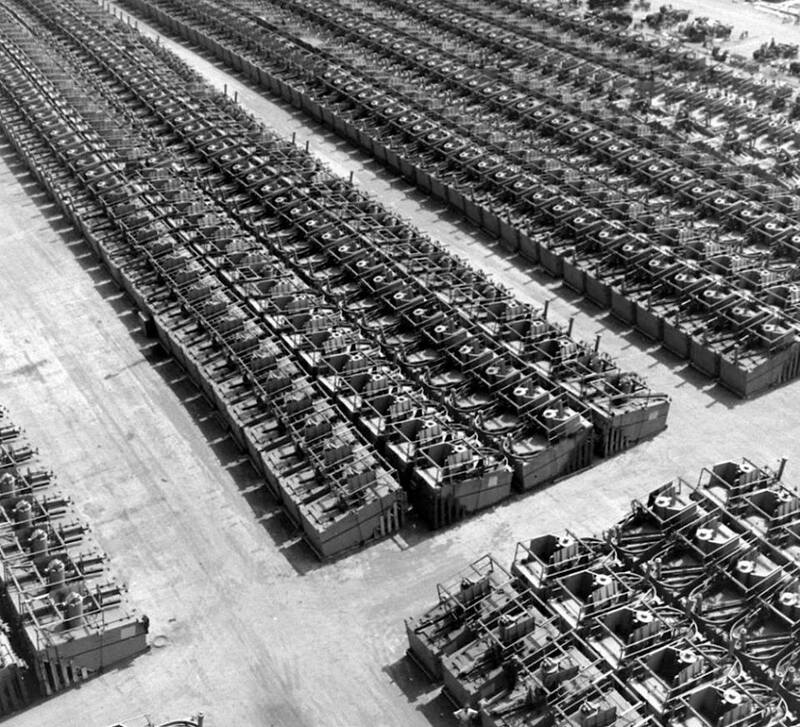 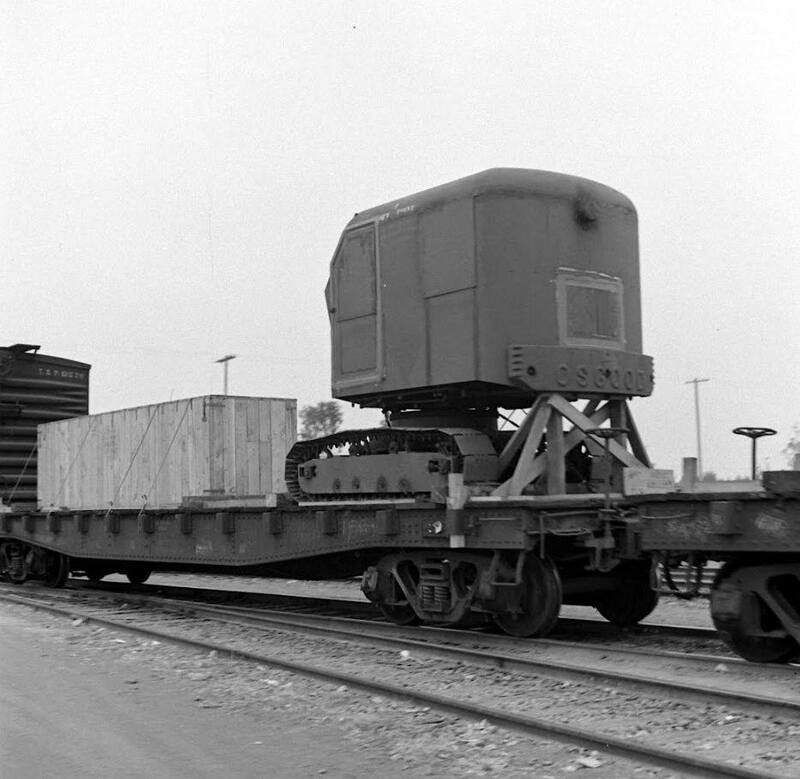 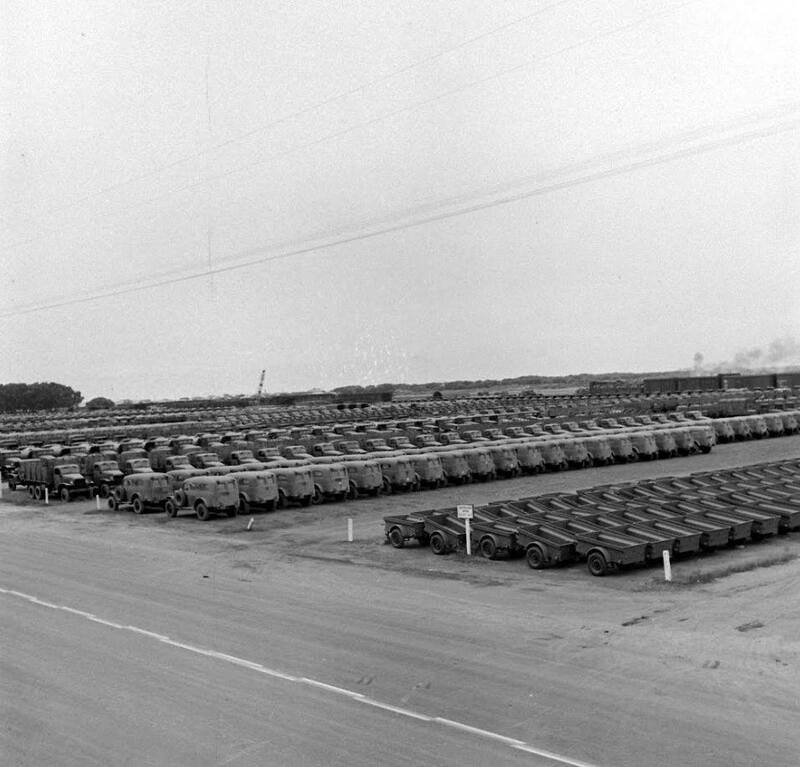 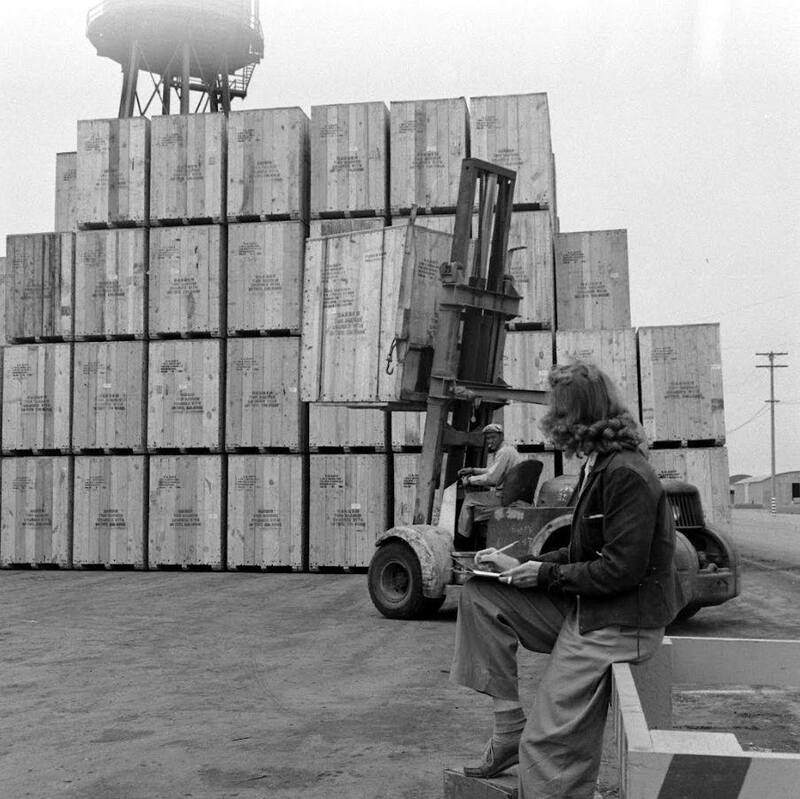 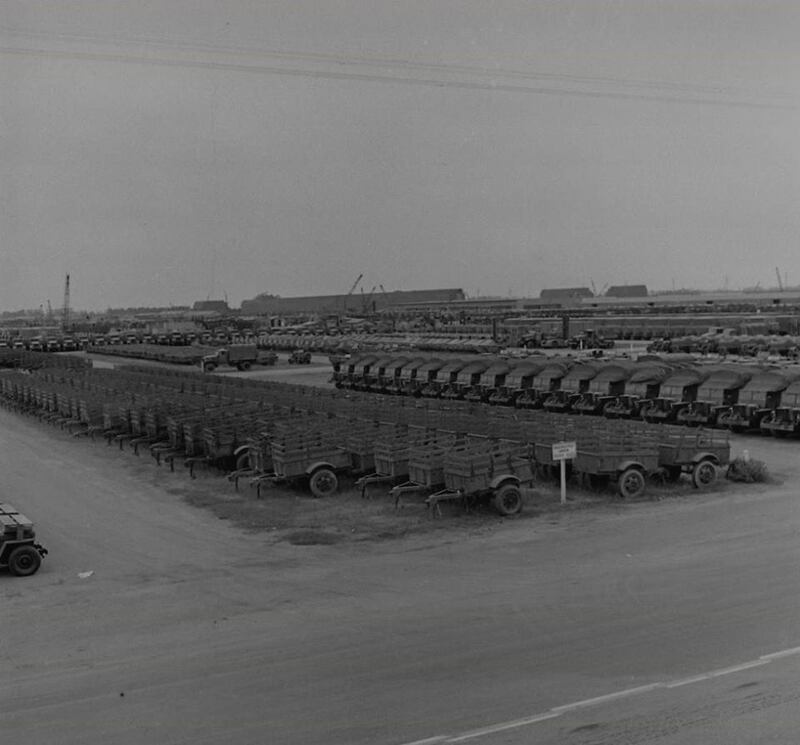 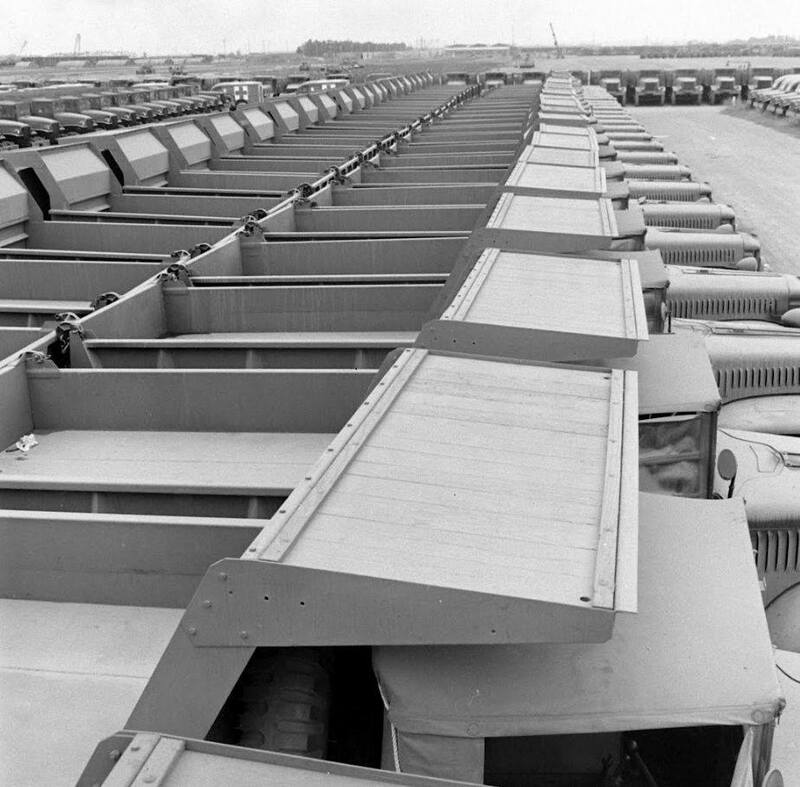 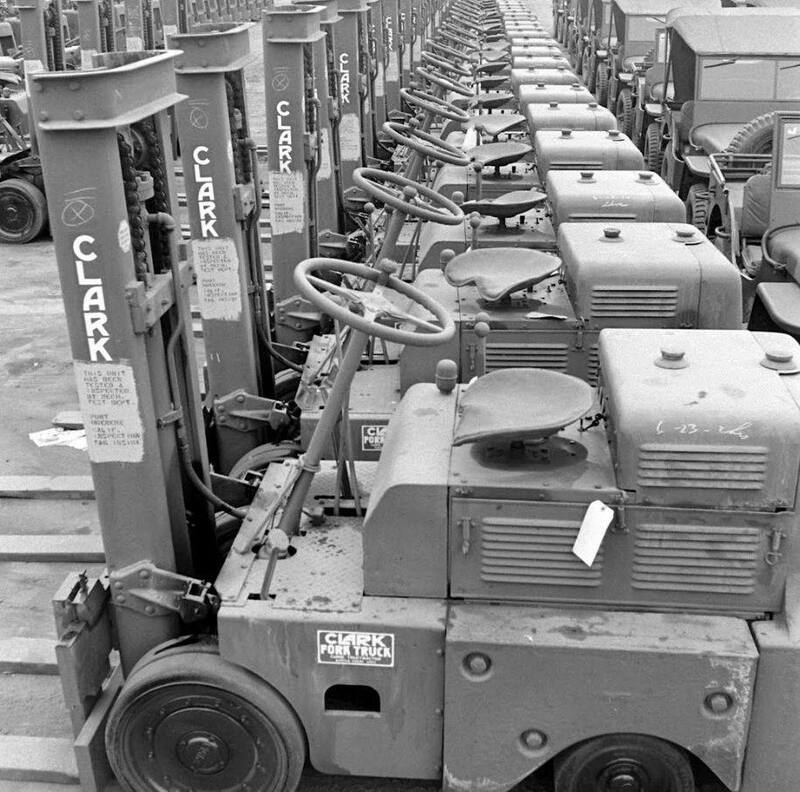 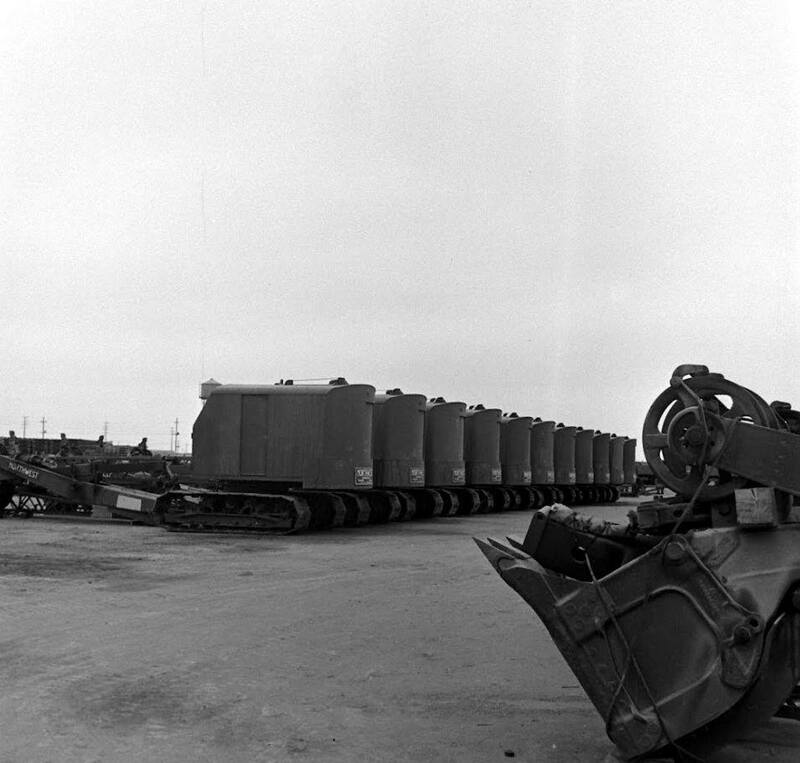 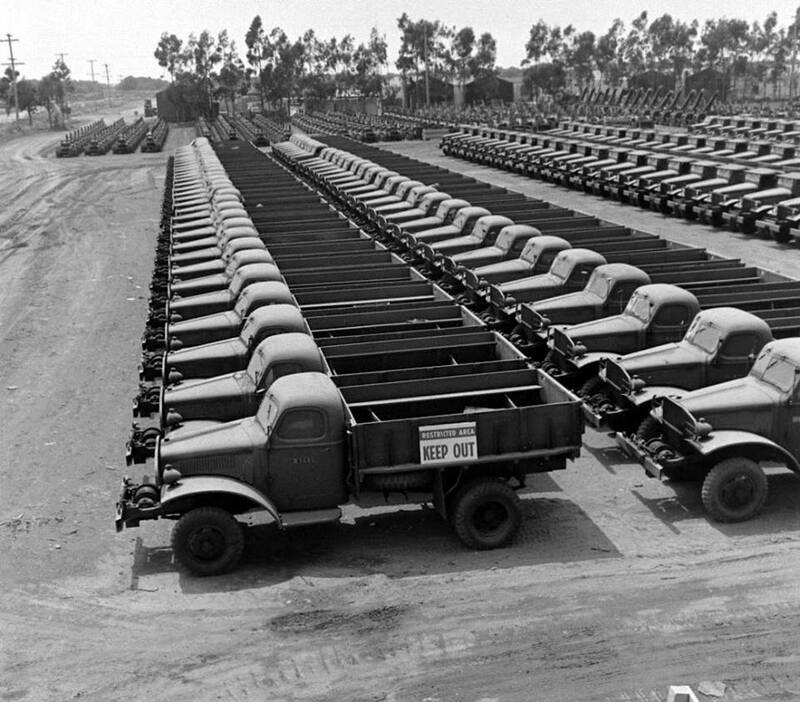 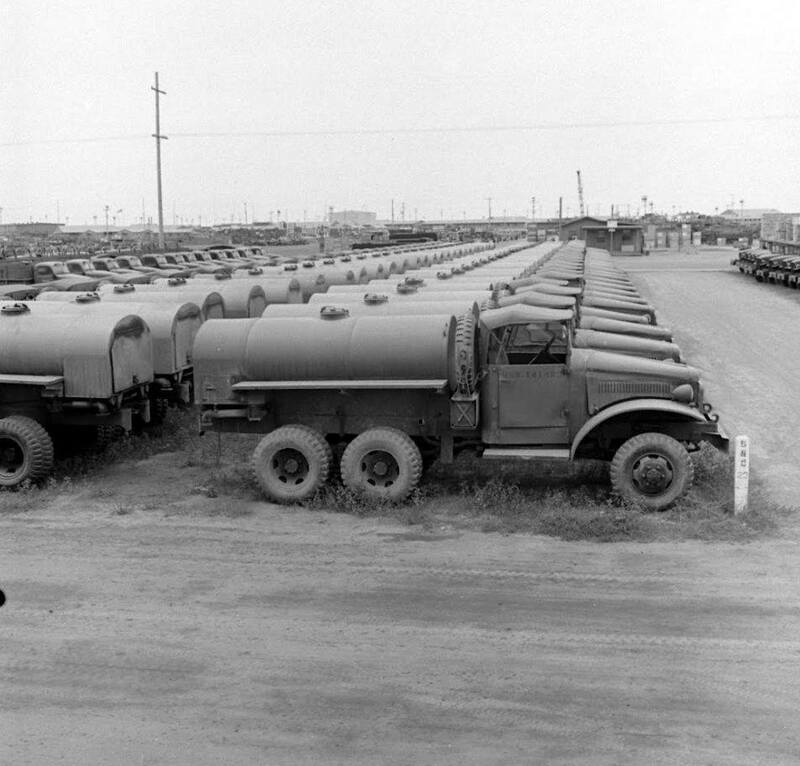 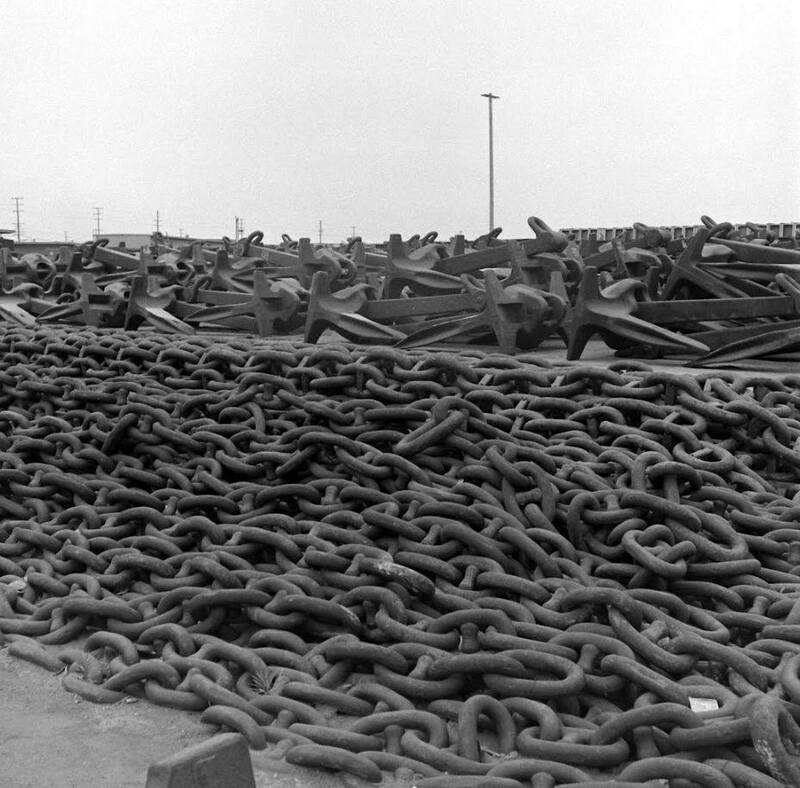 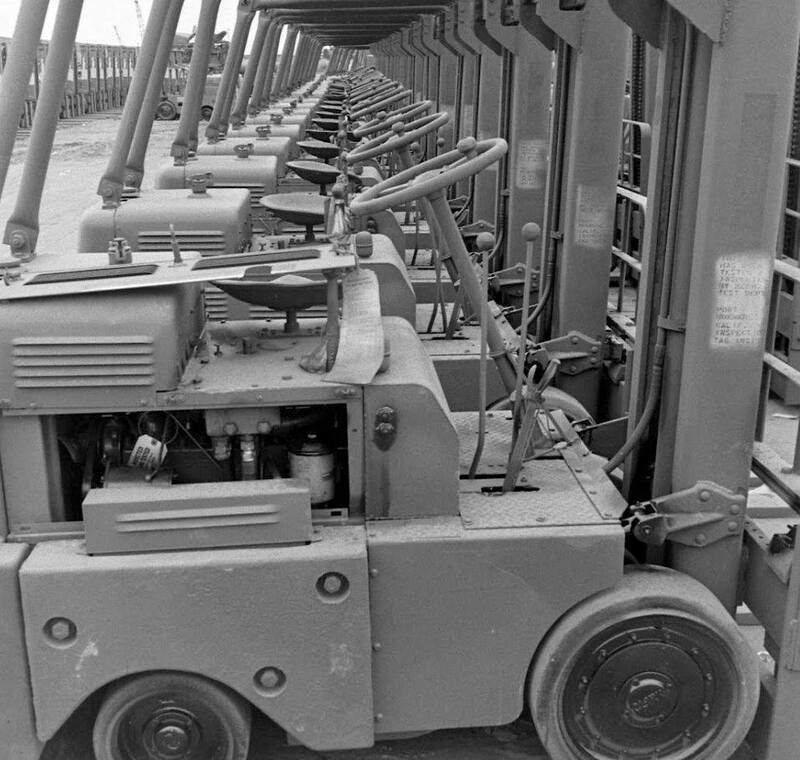 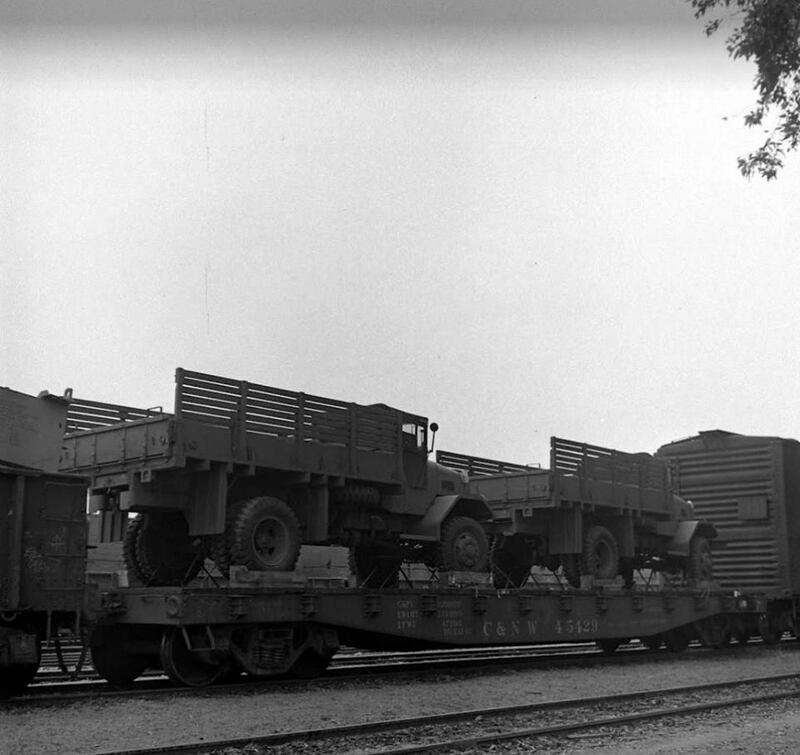 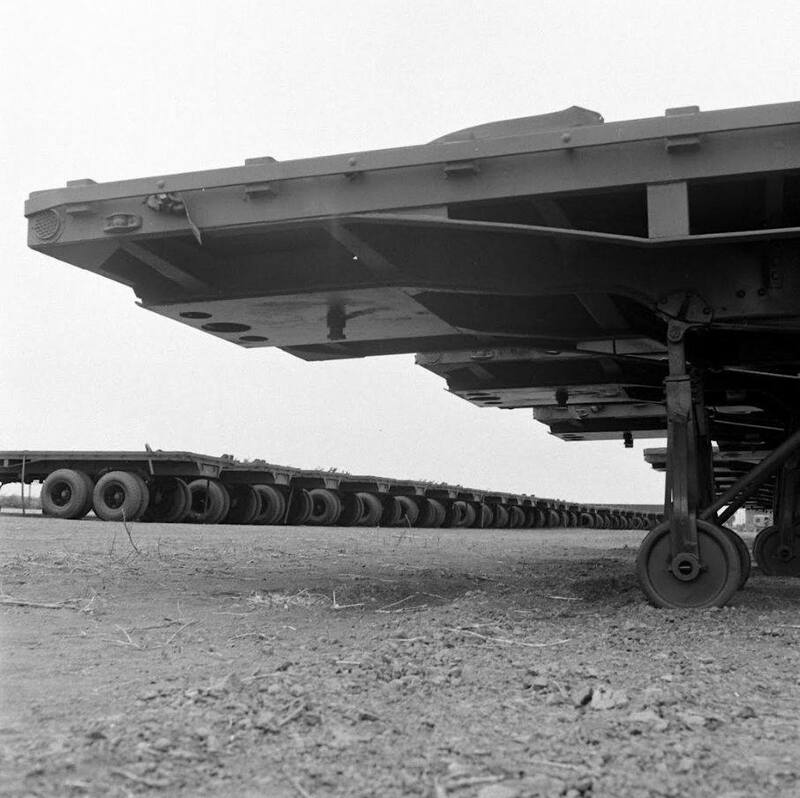 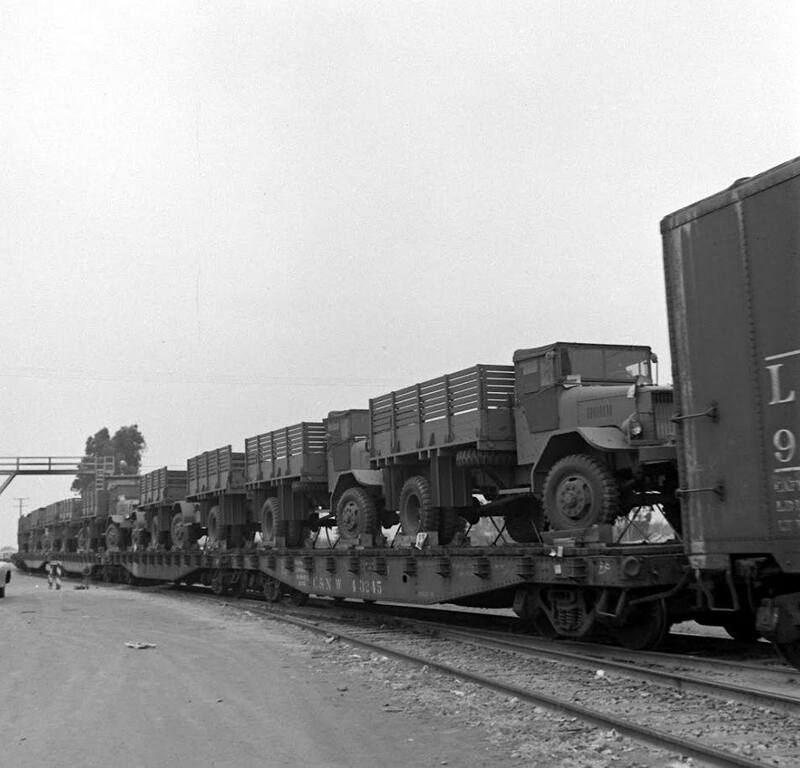 By the end of World War II, Port Hueneme was handling 150 thousand tons of cargo every month. 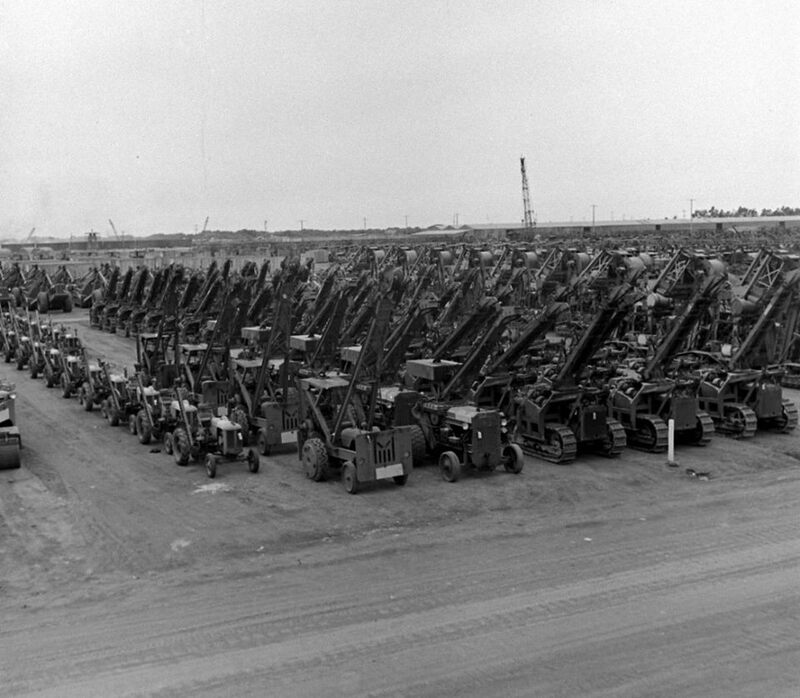 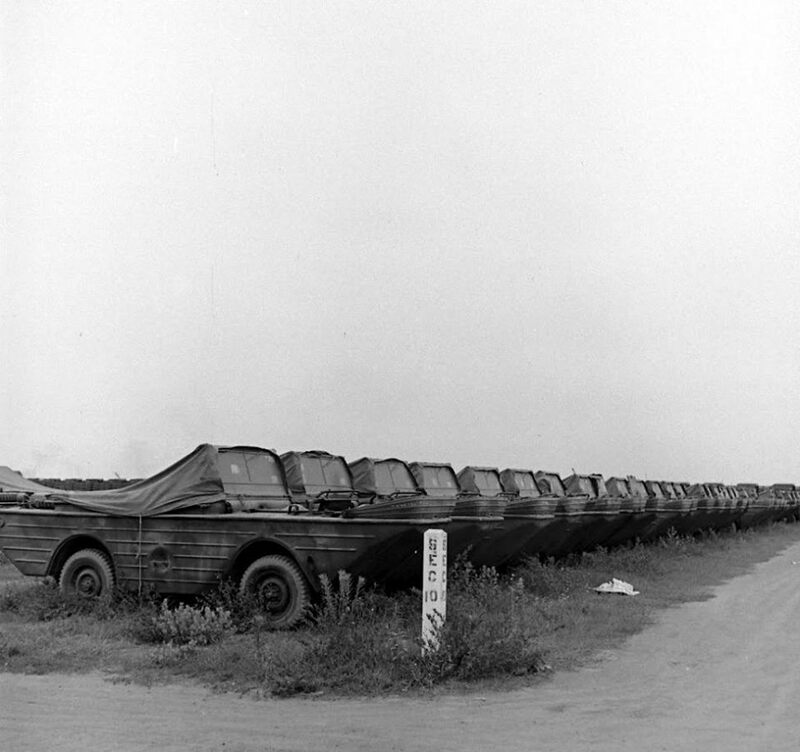 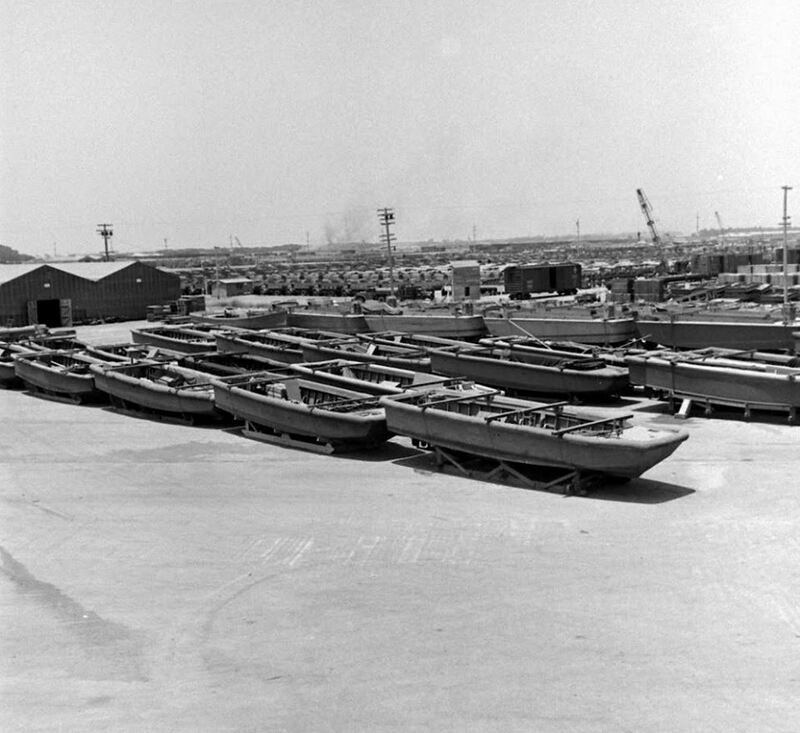 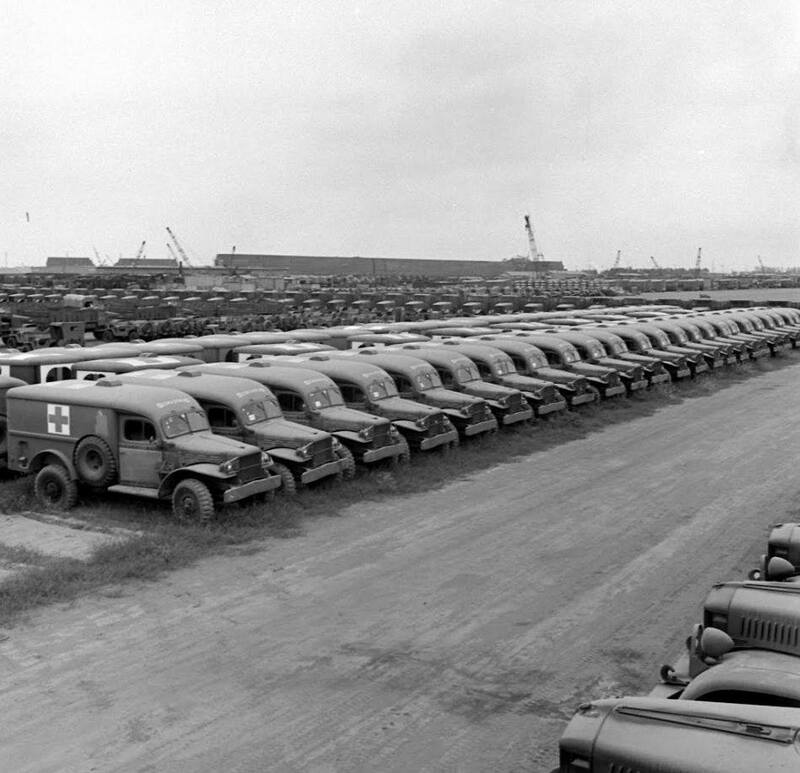 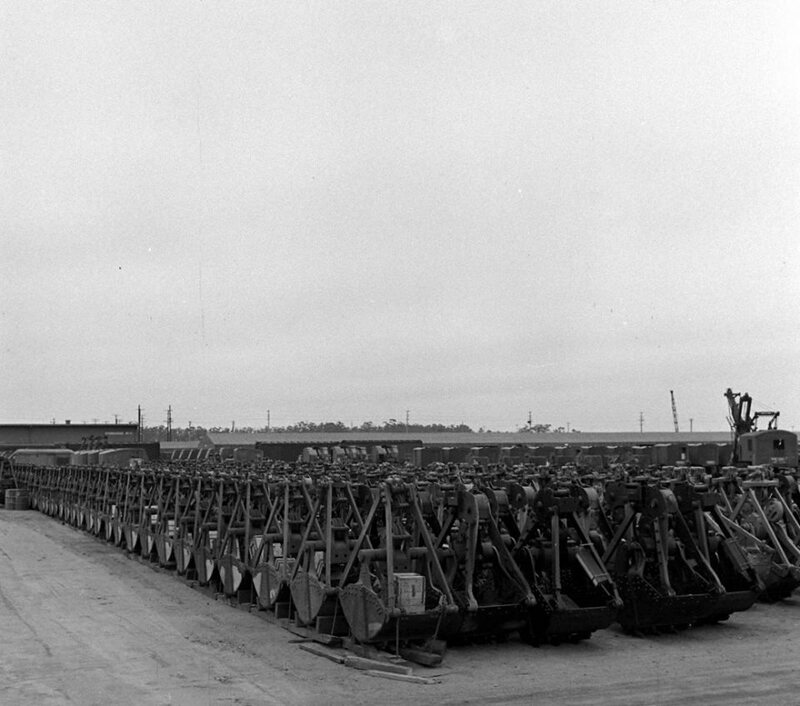 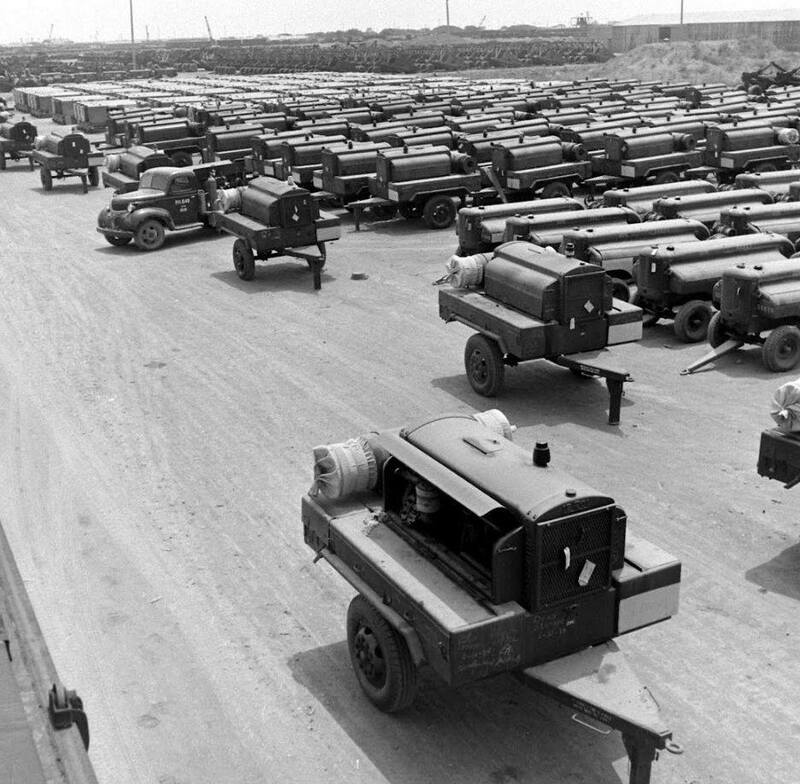 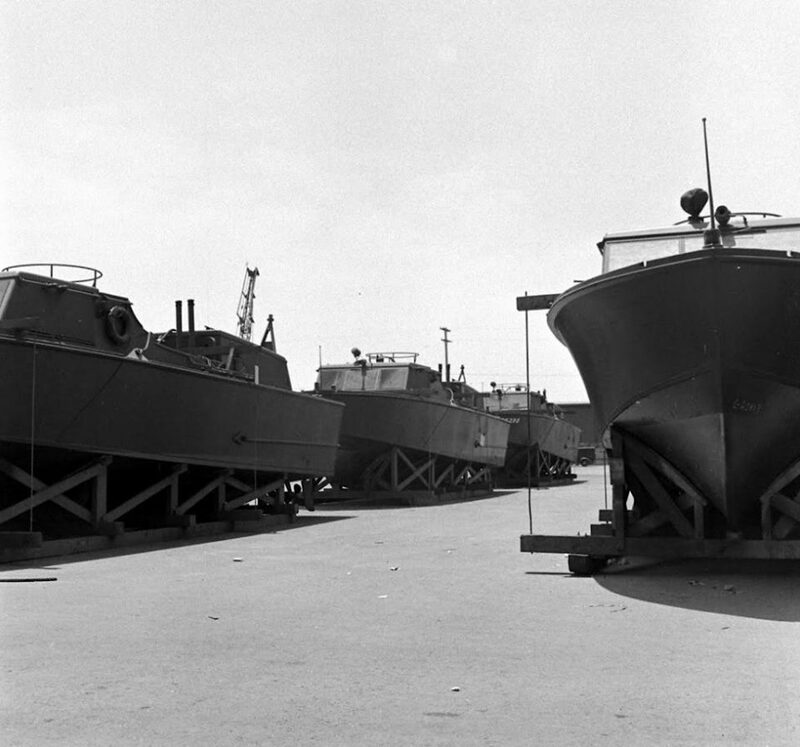 After the end of the War, the Oxnard Harbor District secured a lease agreement with the Navy in 1947 for the original Dock 1 and six hectares of the 134 hectares that had existed before the Navy took the property. 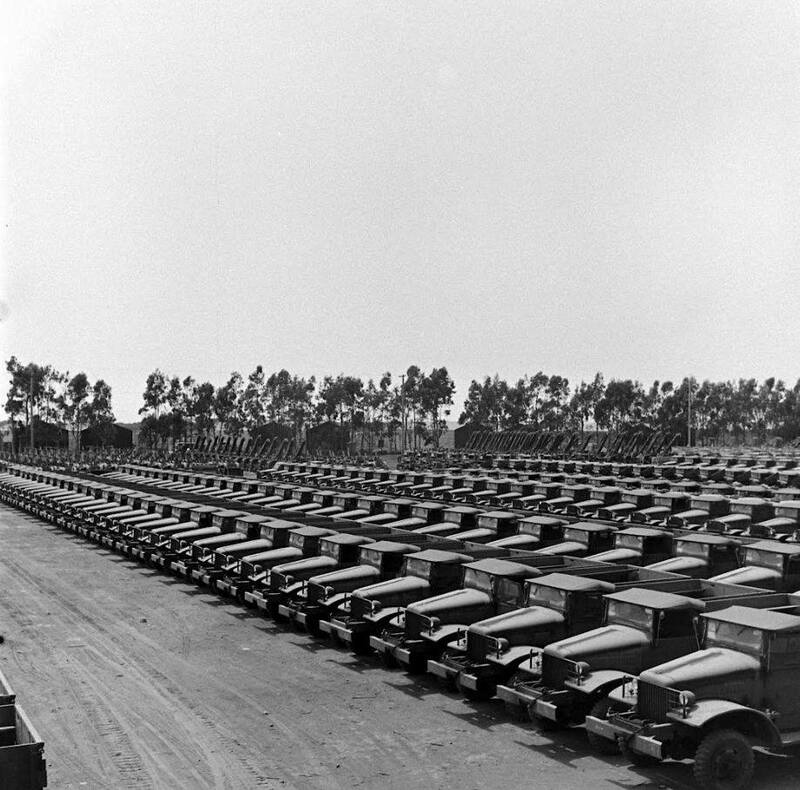 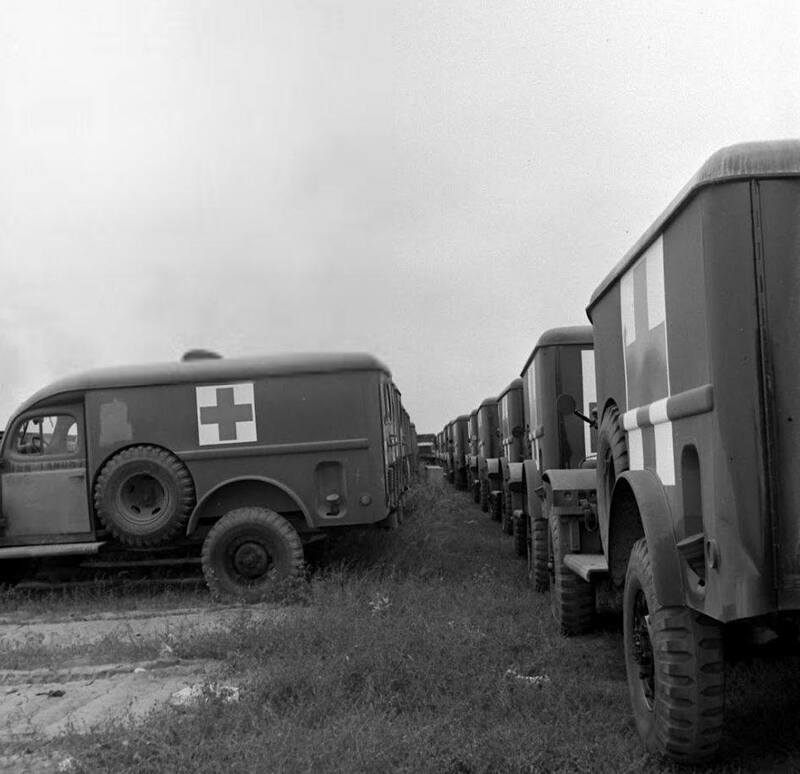 During the 1930s, the American military establishment had undertaken preparatory planning for a variety of scenarios. 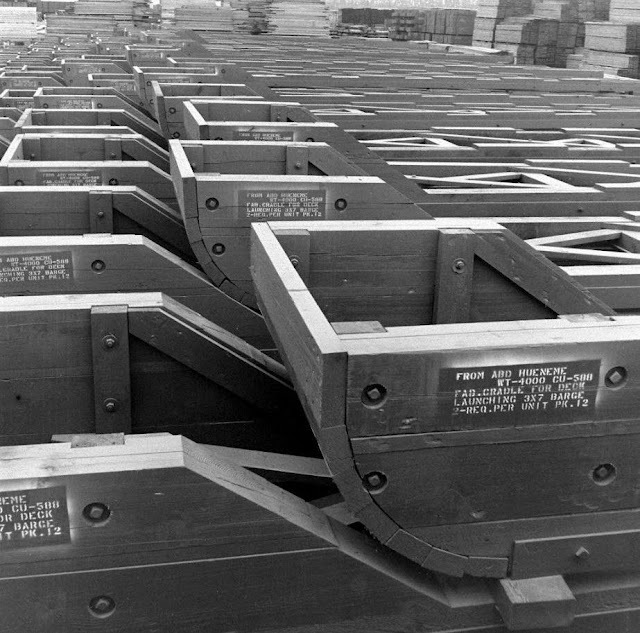 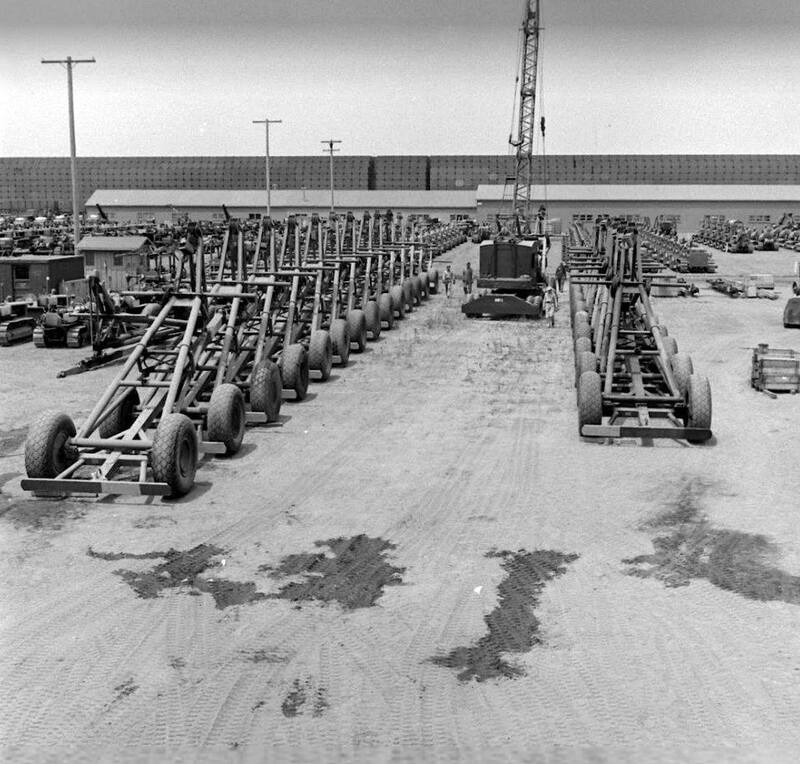 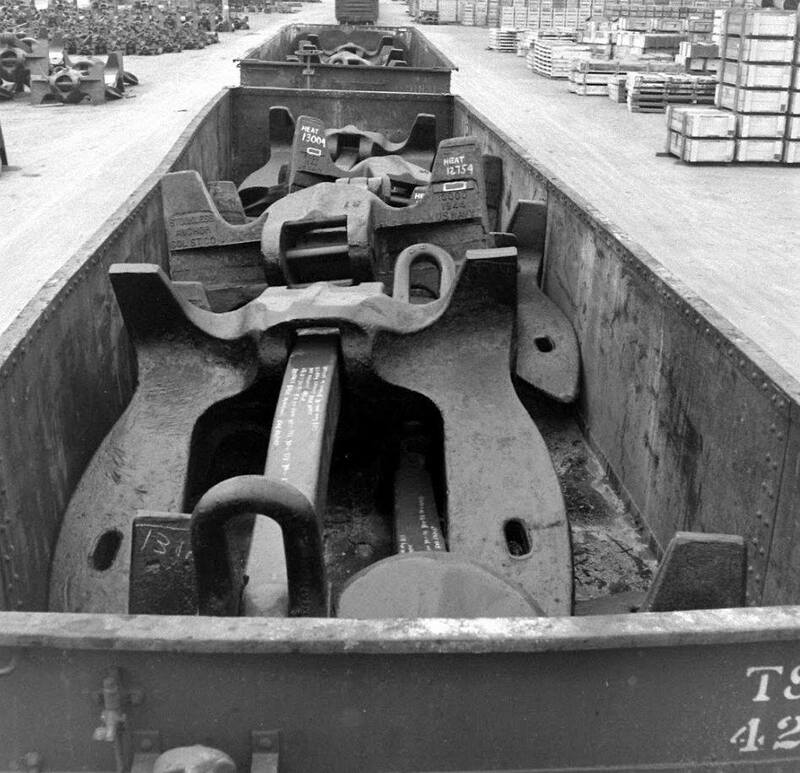 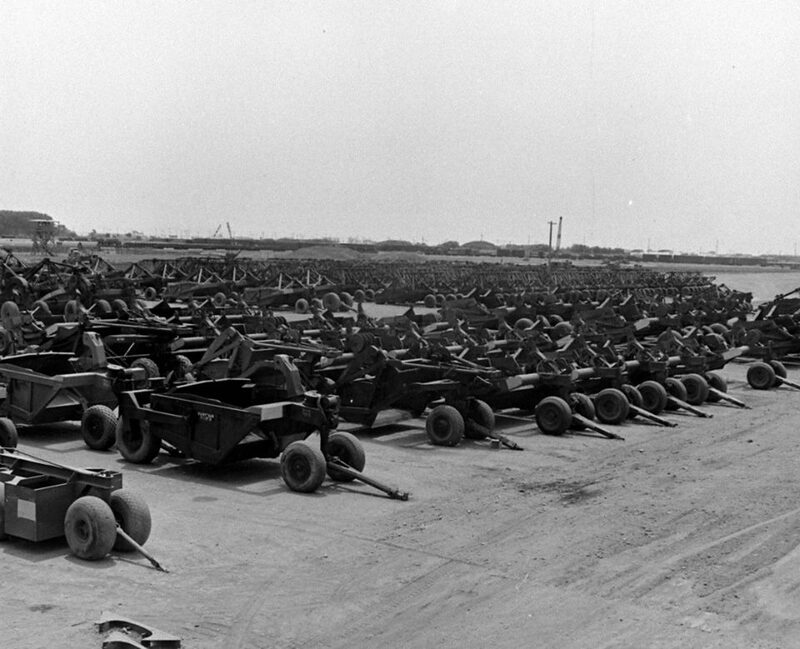 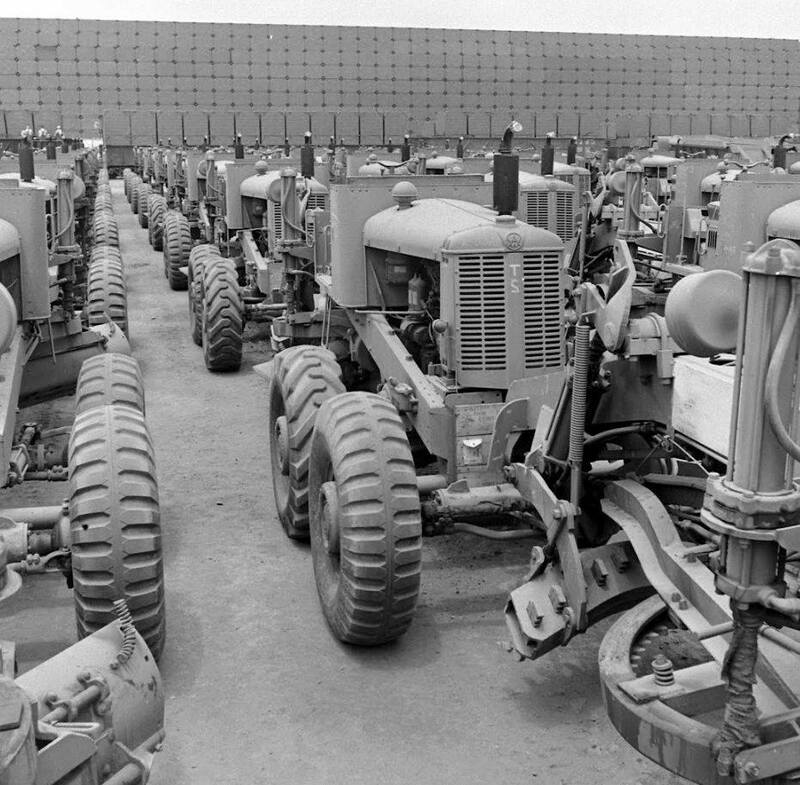 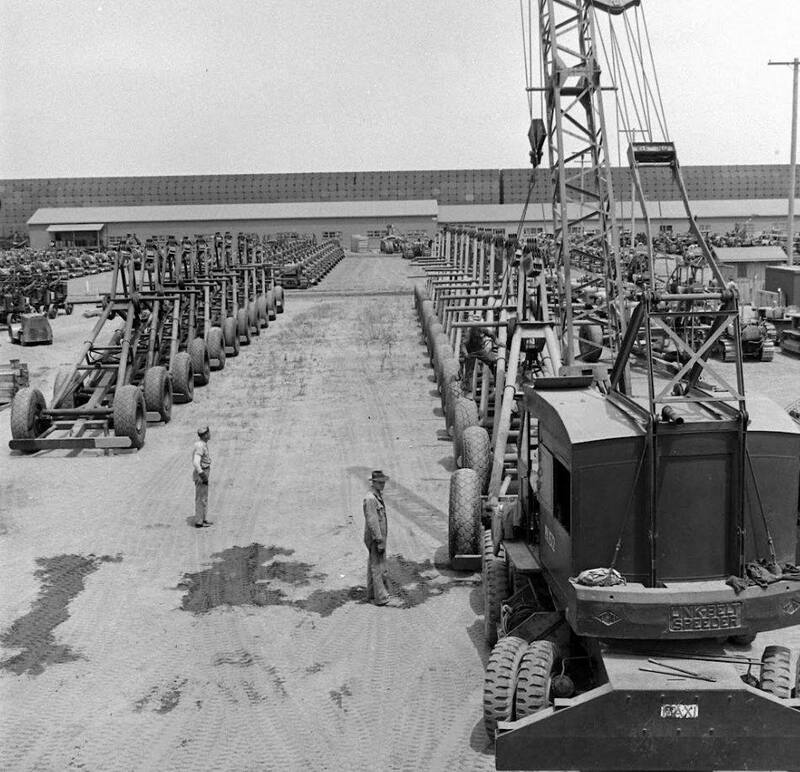 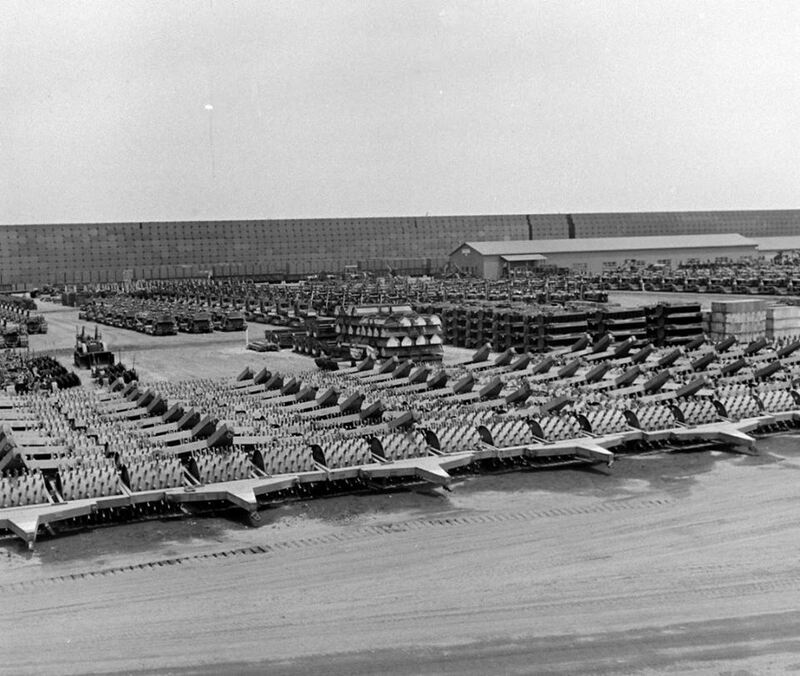 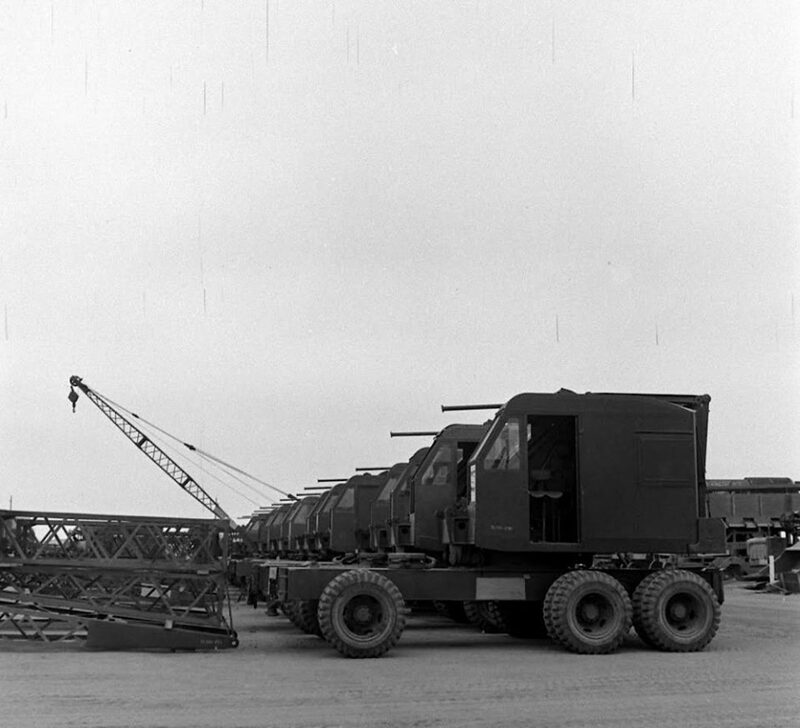 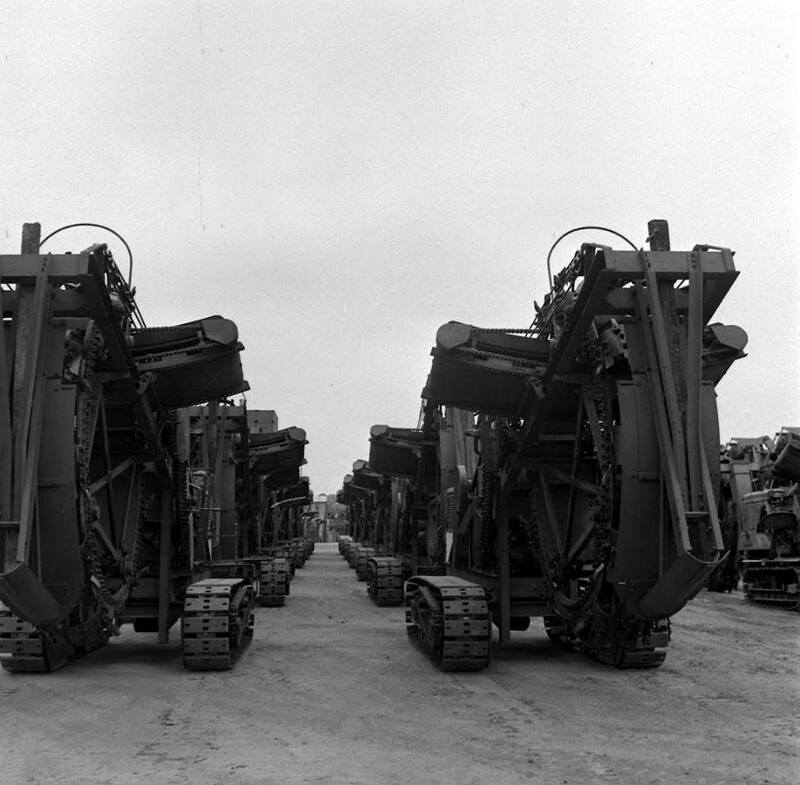 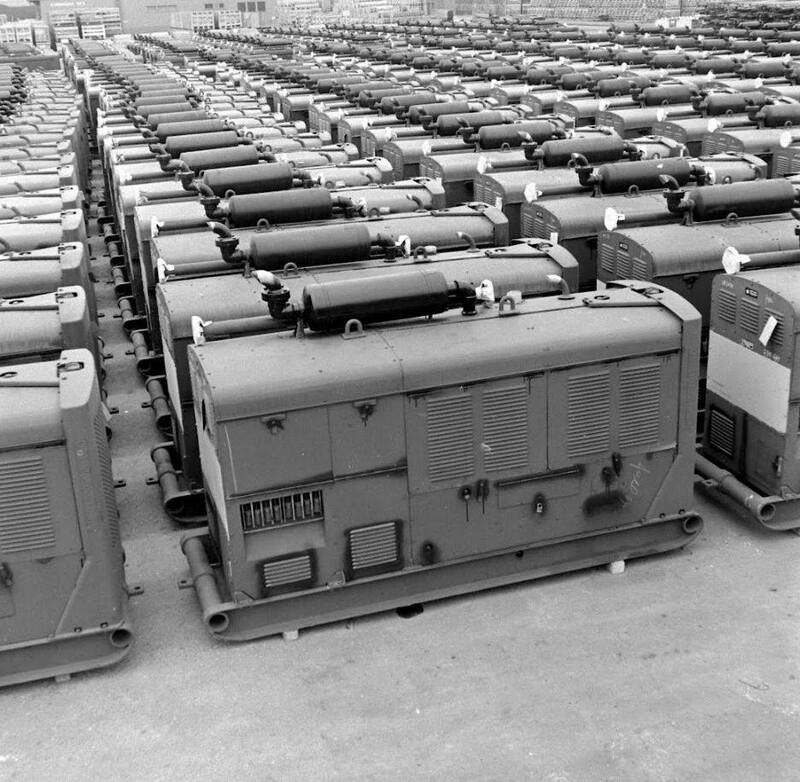 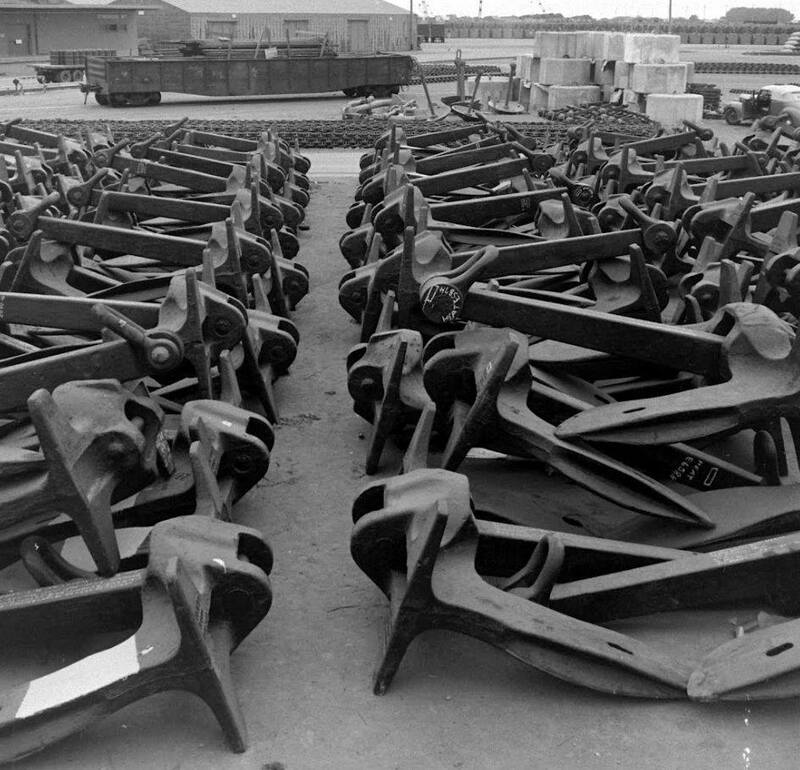 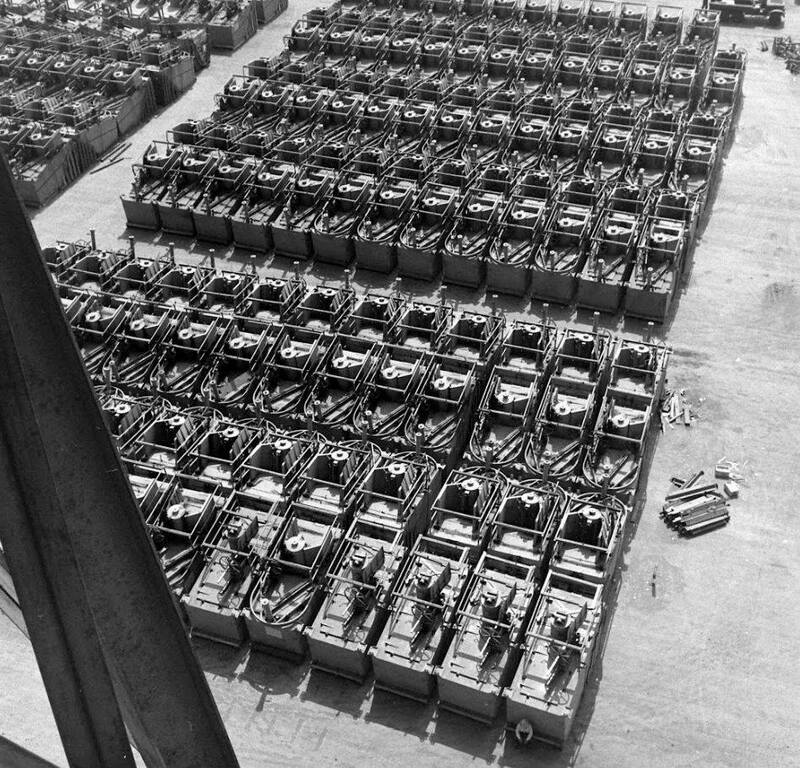 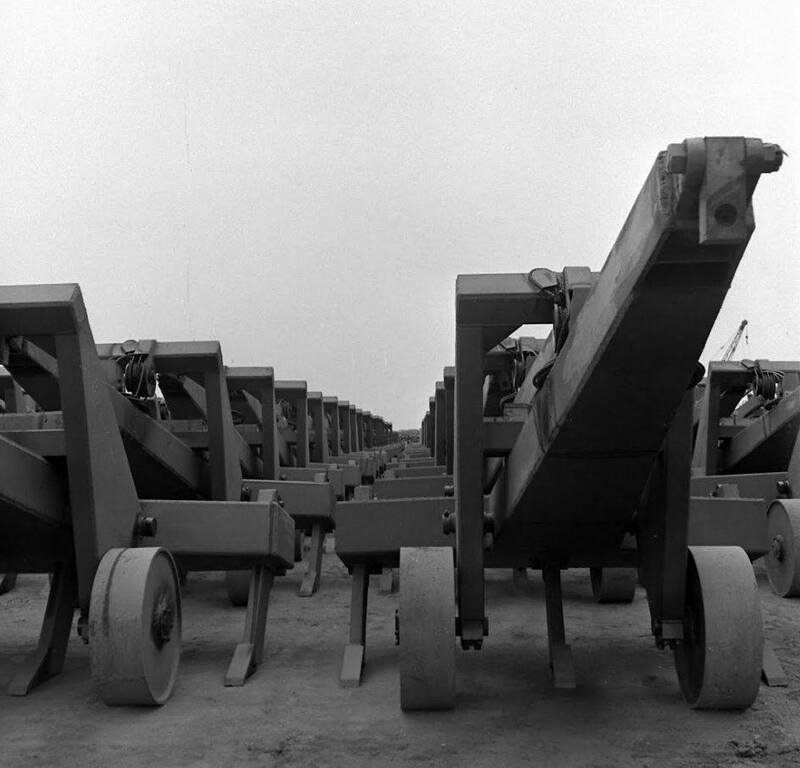 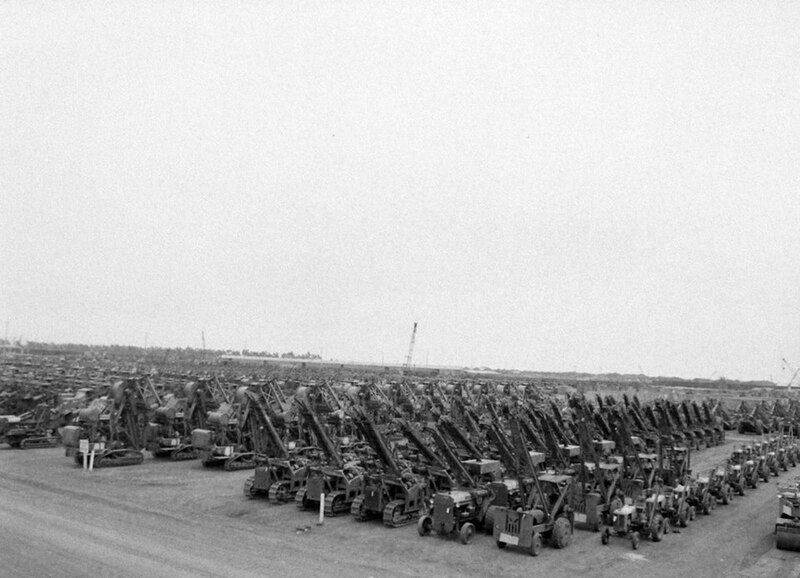 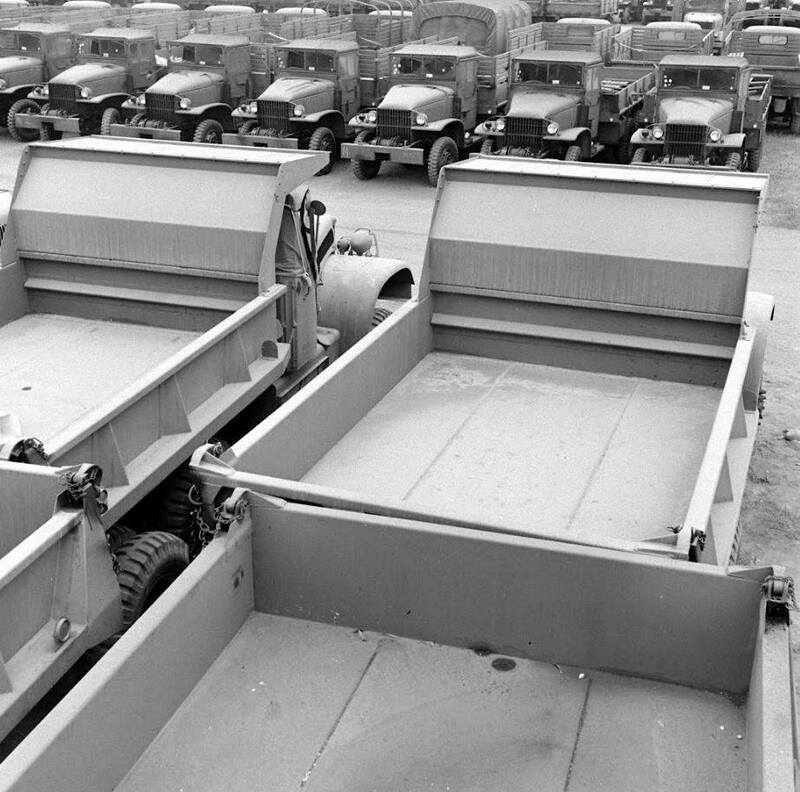 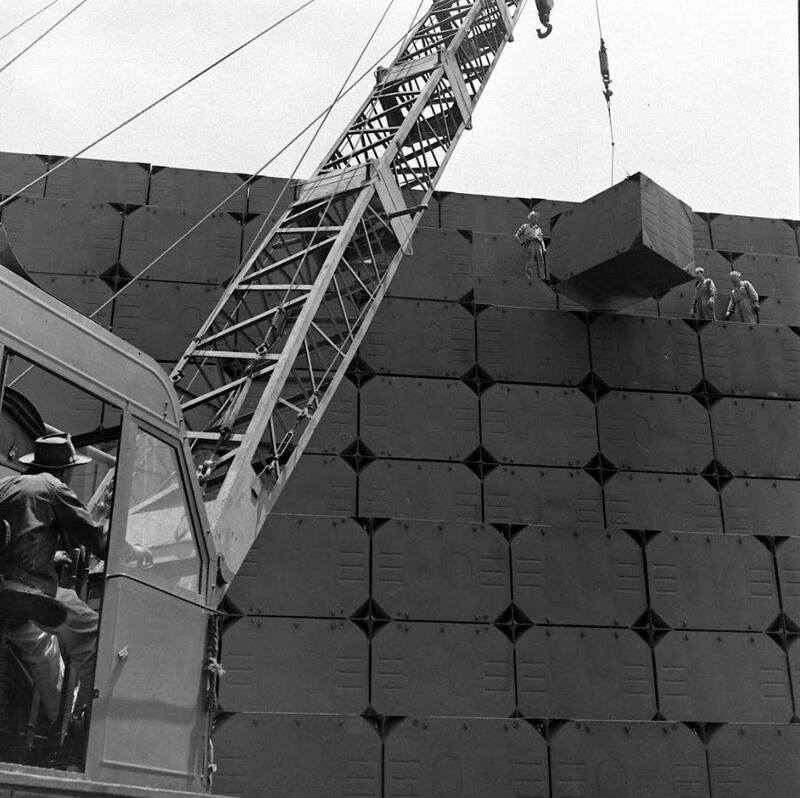 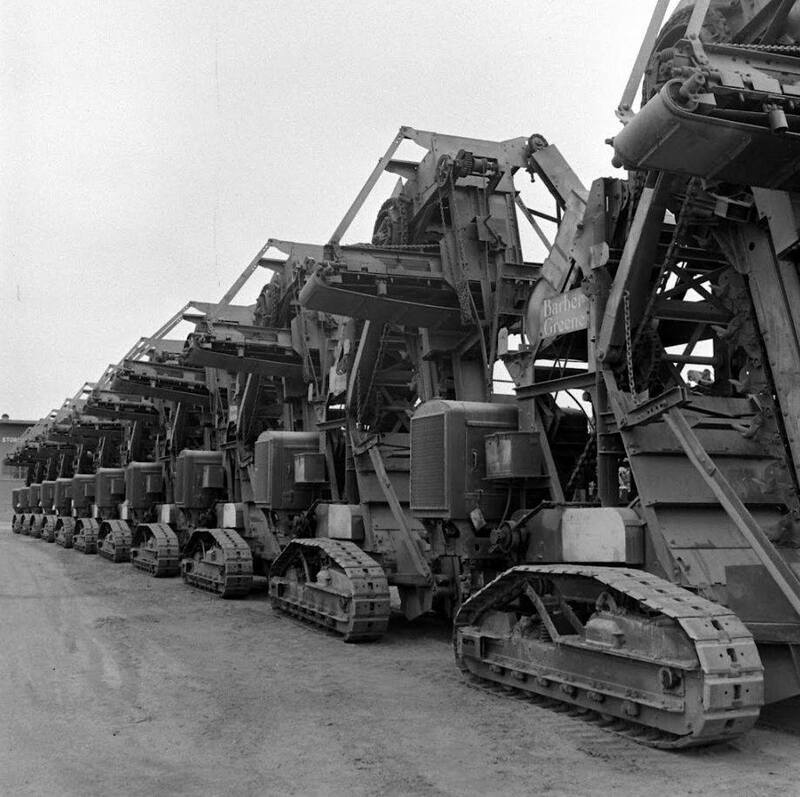 For the Navy, the Bureau of Yards and Docks (BuDocks) bore responsibility for the construction and maintenance of overseas advance naval bases. 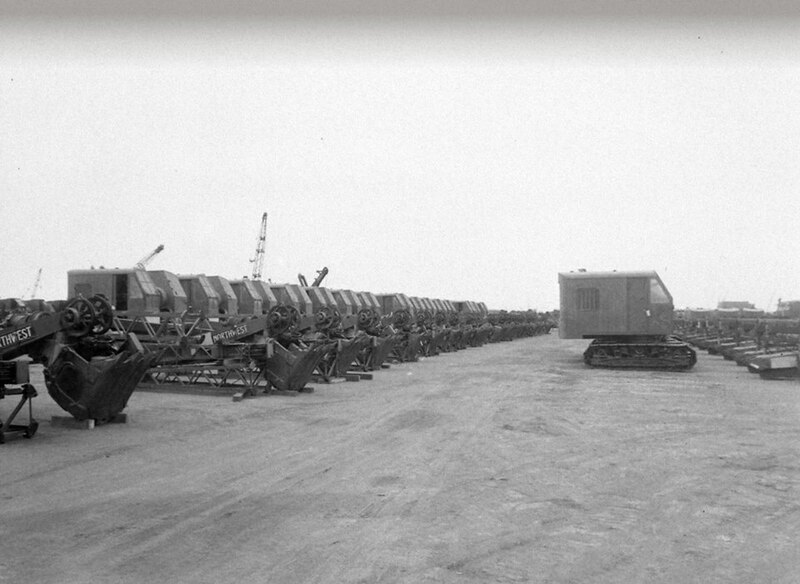 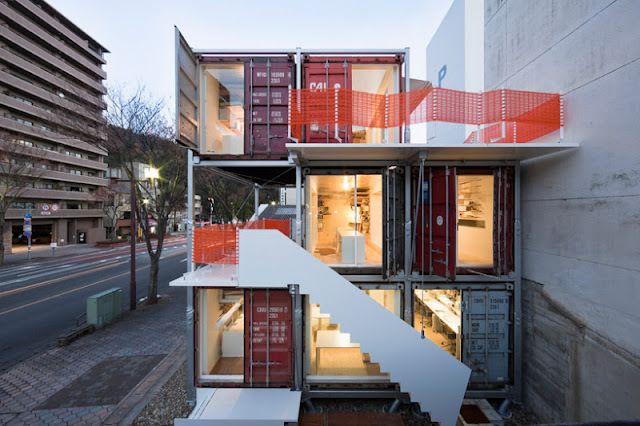 The overseas construction then involved the use of private construction firms and civilian personnel. 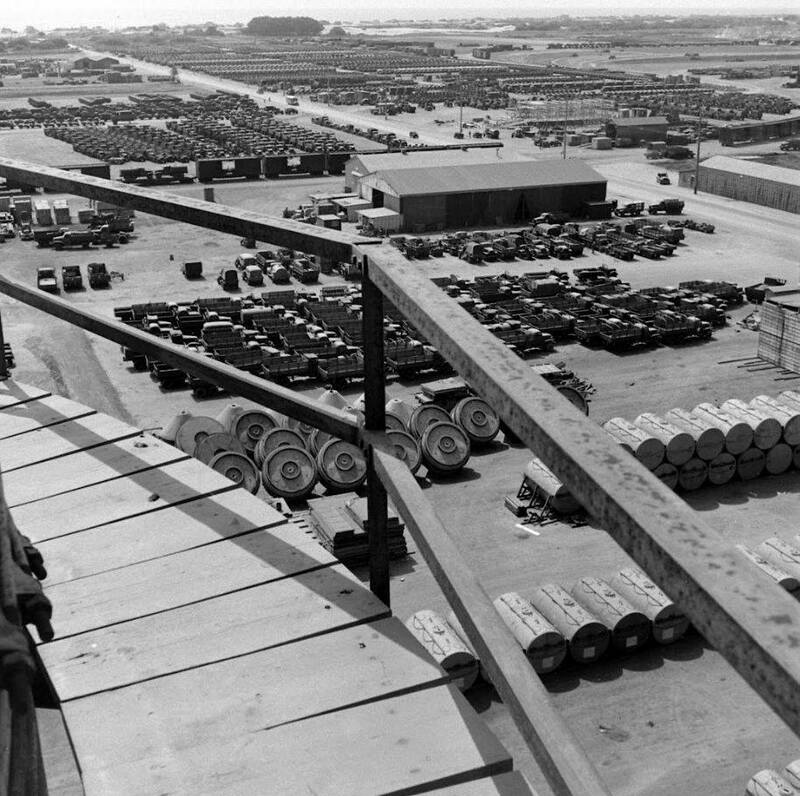 Under international law, however, civilian workers could not resist military action, and if engaged in conflict could be treated as guerrillas and summarily executed. 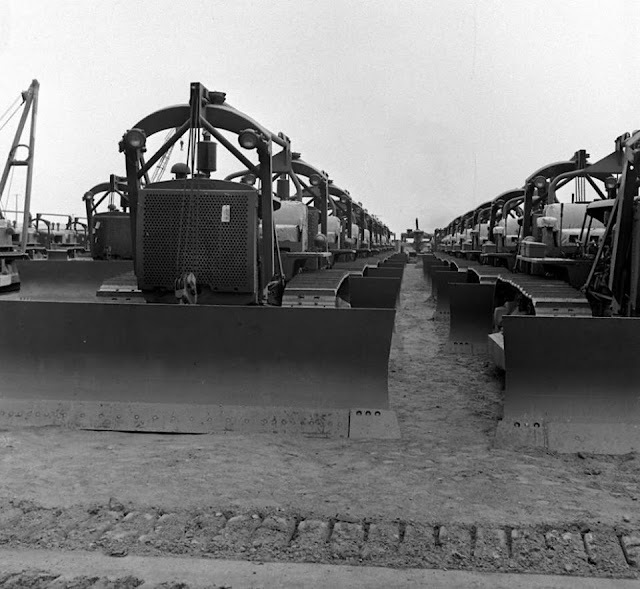 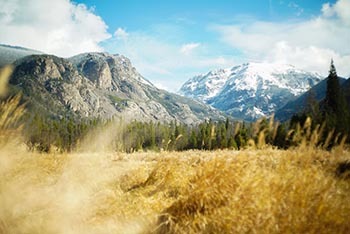 The war therefore required uniformed, armed construction workers, men trained and able to build, fight and defend their work. 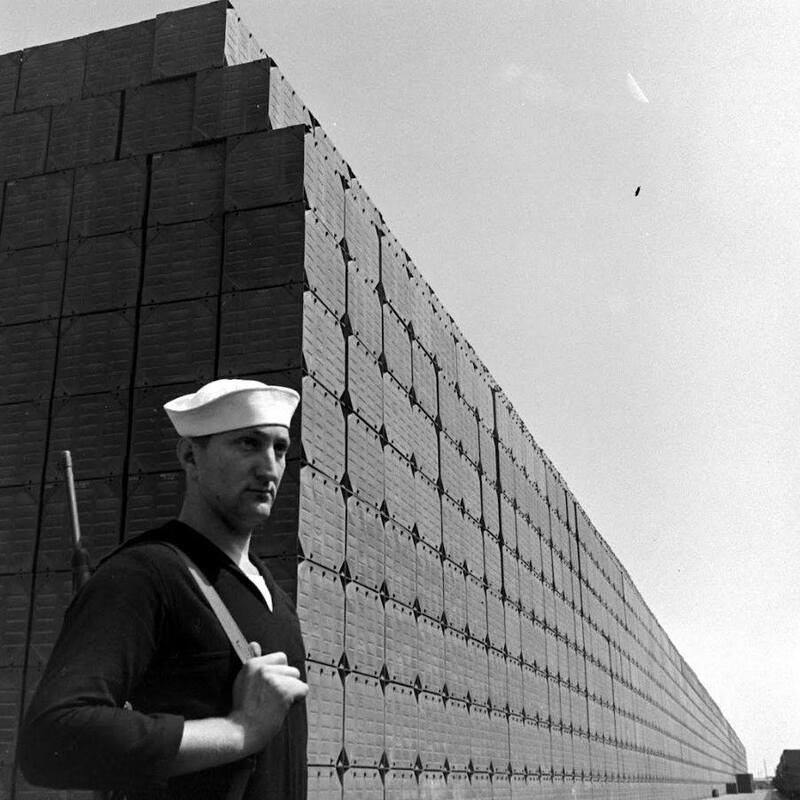 On Dec. 28, 1941, Rear Adm. Ben Moreell, BuDocks chief, wrote the Bureau of Navigation (BuNav), requesting authority to activate, organize and train a naval construction regiment, comprised of three construction battalions numbering 1,073 enlisted men and 34 officers. 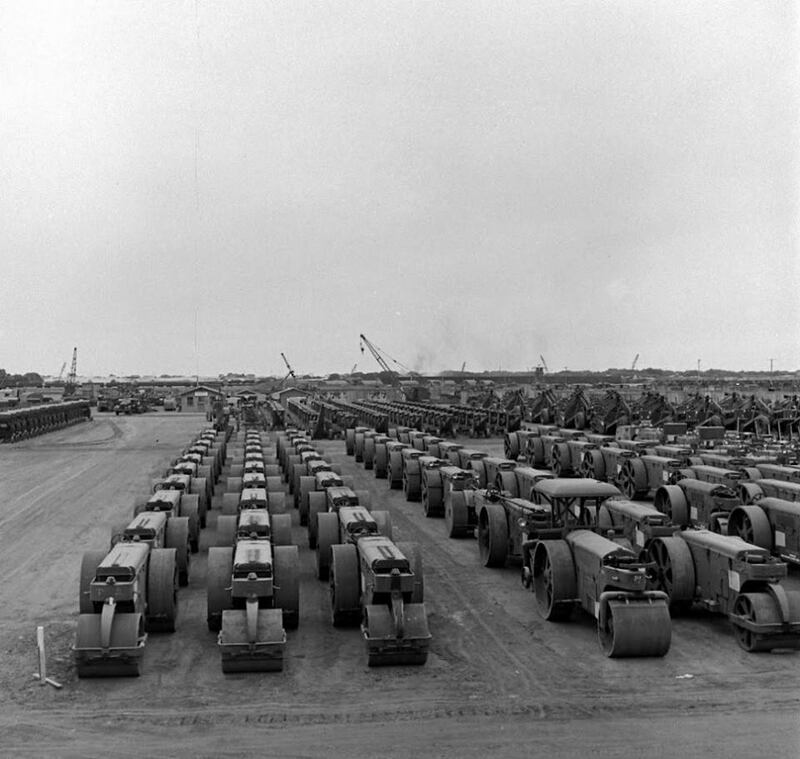 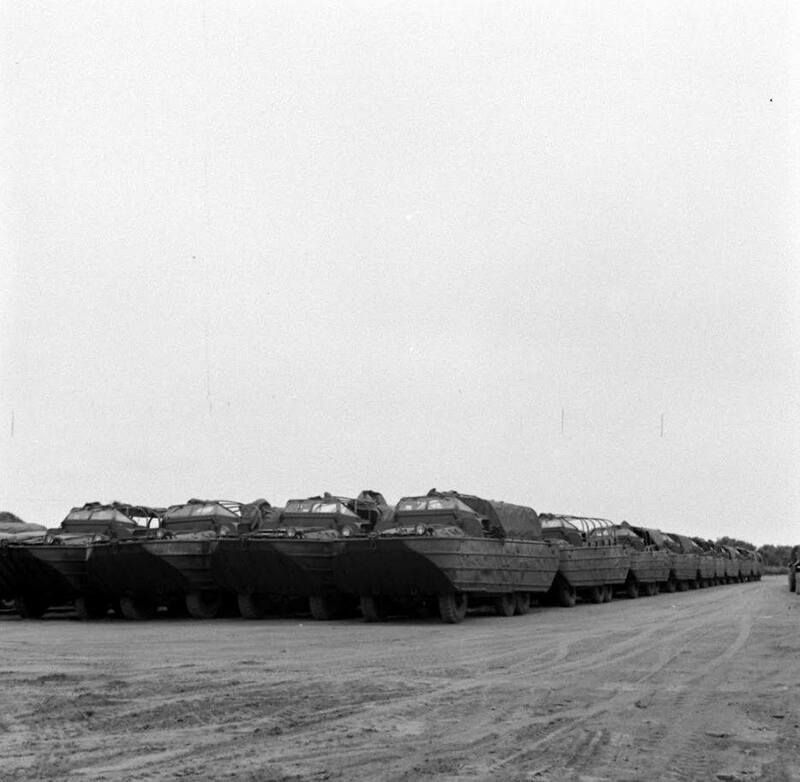 It is from the acronym for the construction battalions, CB, where the phonetic “Seabee” originates. 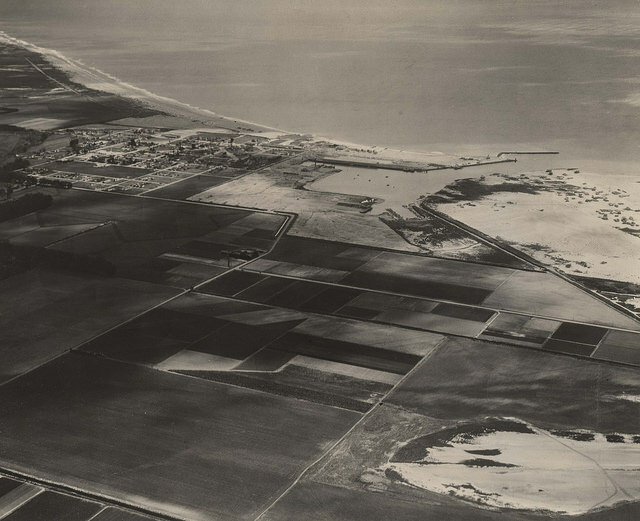 BuNav subsequently approved Moreell’s request on Jan. 5, 1942.